With a few days left before we needed to be back in Tana for our flights we decided to head towards the popular Sahatandra. 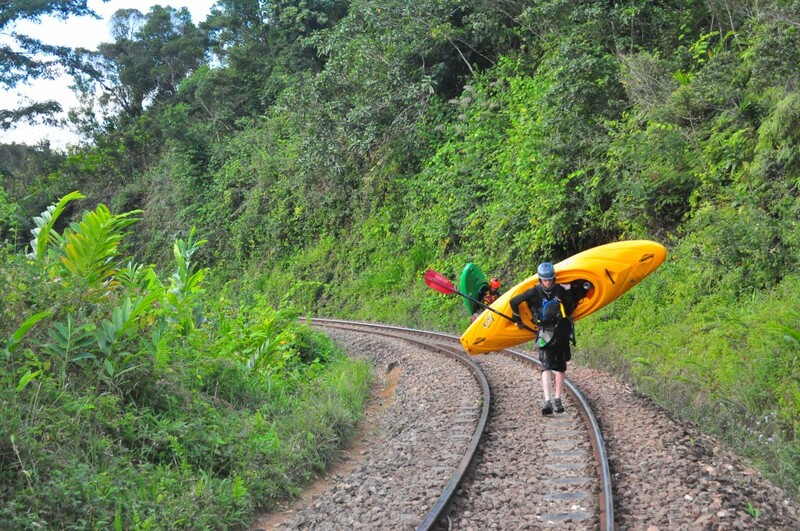 There is an in-use railway that runs alongside a large part of the river giving the option to paddle for a few days before trying to get a non-passenger train back to the put-in, however we decided to paddle a one day section with easy road access. 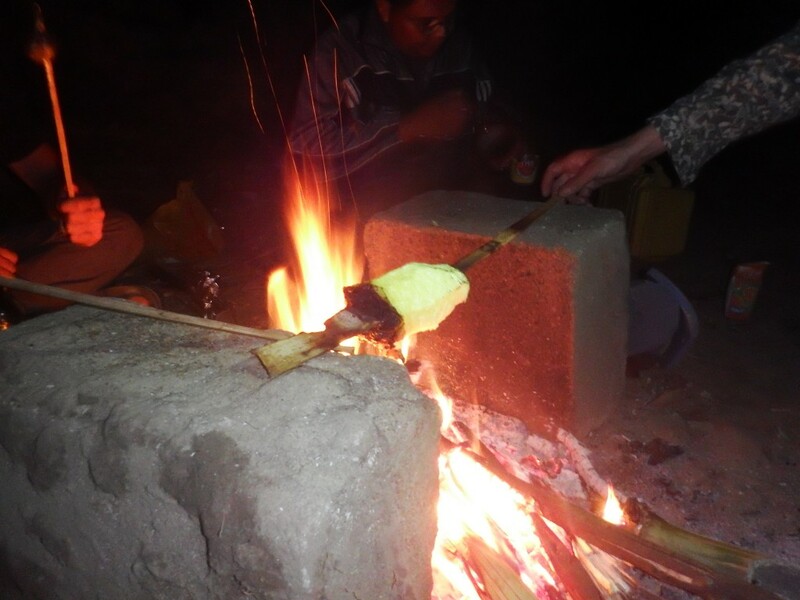 We camped in a car park in Perint National park next to the vehicles and spent the evening cooking a feast on a large fire. The car park turned out to be quite a noisy place to sleep with lots of dogs around as well as being close to the railway line. 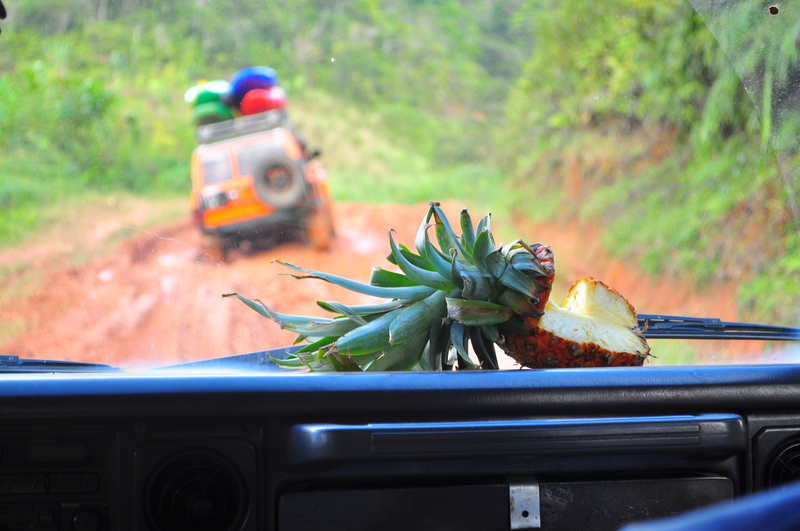 The morning started with rice, jam and bananas before setting off to put on the river. We spent a while driving around trying to work out where was best to put on. We found new road that we thought might allow us to do laps, but it was still under construction. By late morning we had decided where to put on. By this time one of our 4×4’s was a bit broken and needed to go to get fixed meaning that we had a long time to spend on the 10km section. 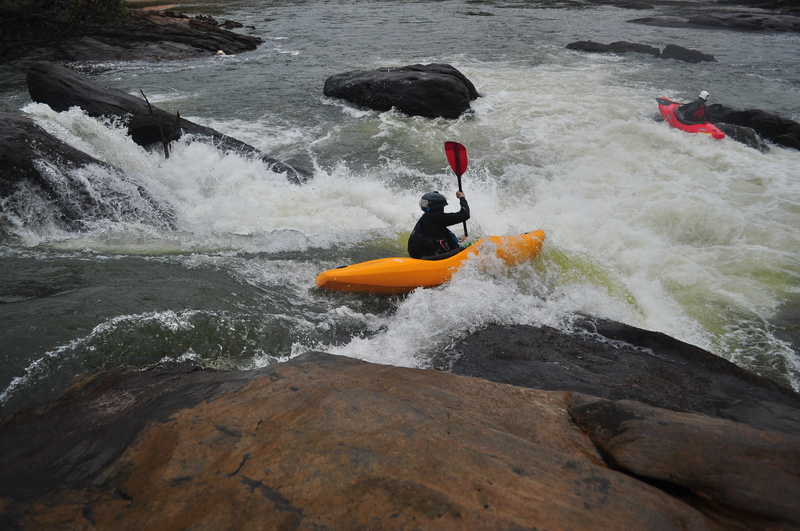 The section stared with low volume and low gradient rapids before we reached some low log bridges that added to the fun. 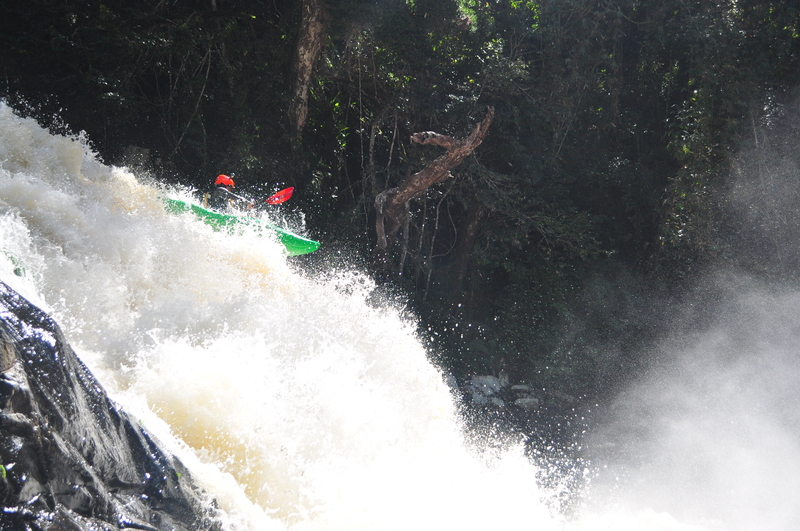 The morning continued with some low volume rapids and some small interesting drops. Having got a good amount of distance covered we decided to stop for lunch. Since we knew we had to wait for the vehicle to be fixed we had a leisurely, long lunch break. Being a one day section, we had packed good food in to our boats. After our extended lunch break we headed off for what we thought would be a relaxed afternoon similar to the morning. It soon became apparent that the second half of the section had more gradient and was much more exciting! 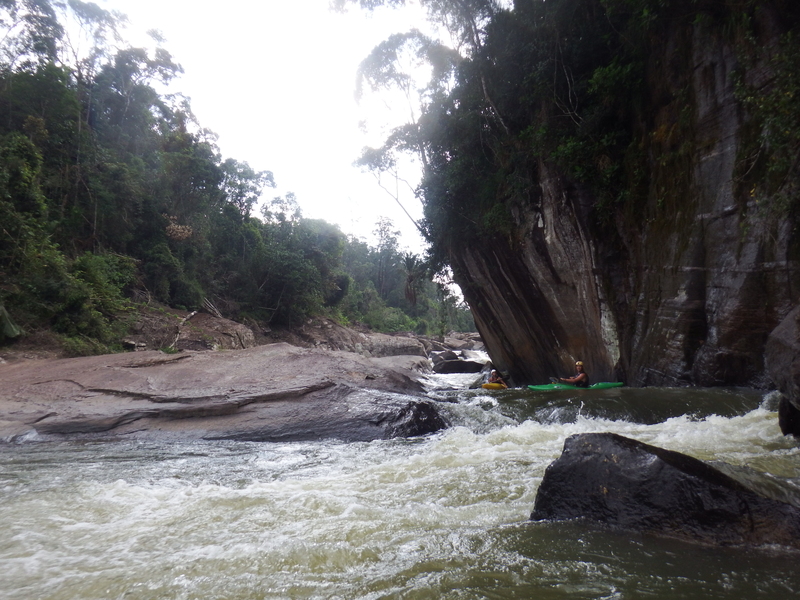 As we continued, the river gorged up with some magnificent rock formations. Quite a bit of portaging was required due to the syphony style of the river however there was also some great runnable sections. It felt like it needed more water, however if it did have more water it would be terrifying! After a while the gradient started to decrease and we soon reached the take-out. 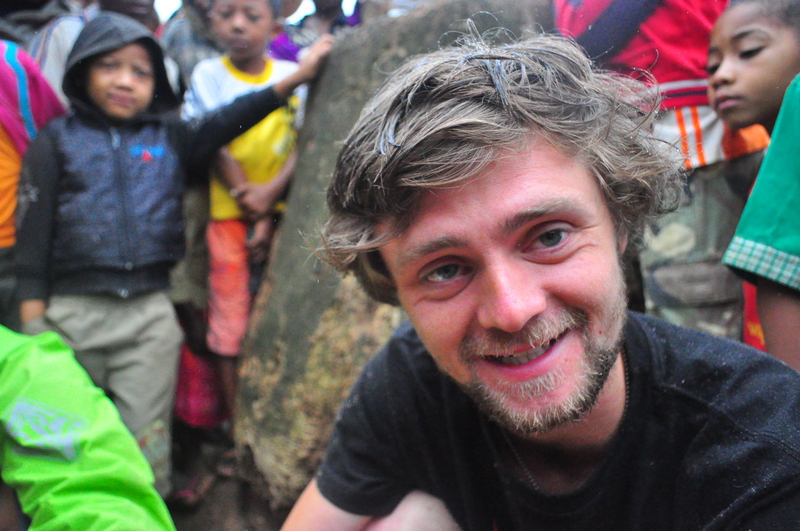 We were greeted by Matt and Rado who had walked along the railway line and towards the river. We walked up to the railway track and along it to get to the vehicles that had not been able to go any further due to a broken bridge. 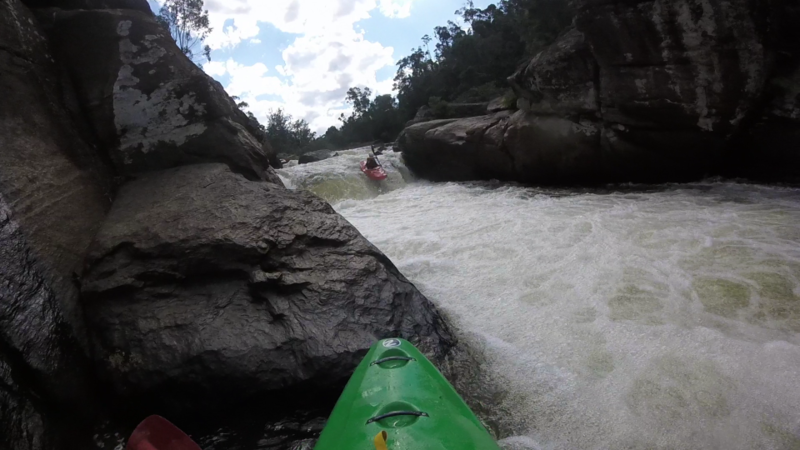 After paddling the Ikopa we decided to head East for some more exploratory paddling. We headed towards a 150 km section of the Ivondro. Being a first decent as well as longer, steeper and more remote than what we had already done we were very excited. We started the mission by spending a night in Ambatondrazaka. The next morning we bought supplies for 8 days on the river (expecting to take about 5 days) and started our day of off roading attempting to get as close to the river as possible expecting to have to walk the last part of the journey. 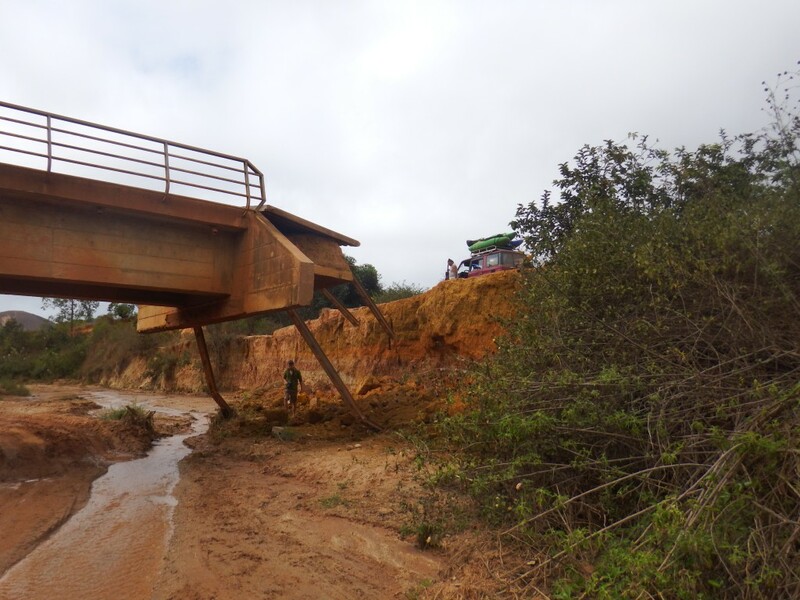 Broken bridge – one of the many challenges we faced on the road. Late in the day after some exciting driving we had managed to get within a kilometre of the river. 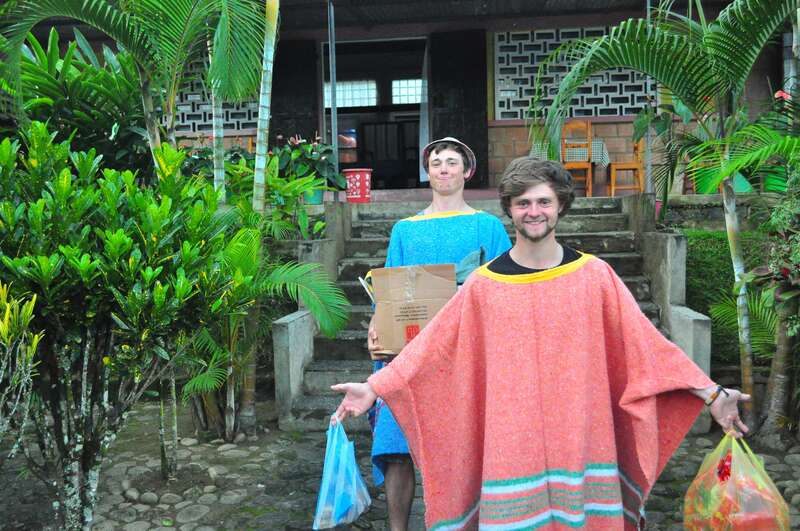 We sorted our kit in Ambodifano before a local man showed us through rice paddies and jungle paths to the river. Covered in mud, we put on the river just before sunset in hope of getting to a rapid to camp next to, but ended up running out of time and camping next to still water and accepting the mosquitoes that accompanied us. 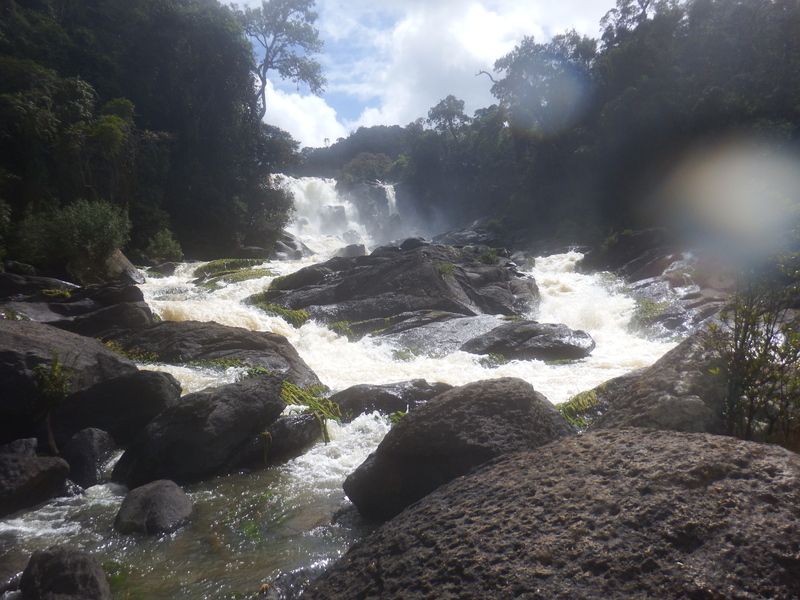 This river was already feeling more remote than what we had already been doing with the sound of lemurs (very rare) and no local people in sight. Leslie traveling the last part of the journey to the Ivondro by foot. The next morning we were up at sunrise and started the day with the usual sugar with rice. 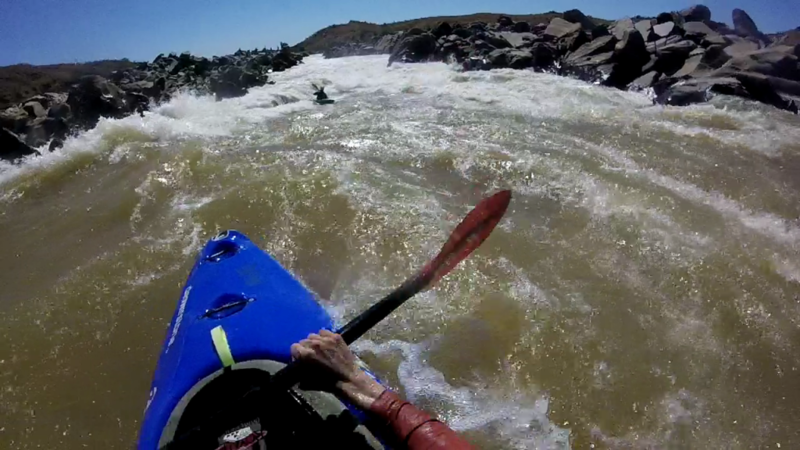 Soon after getting on the river we reached our first rapid – a three part slide ending in a smooth sloping boof. 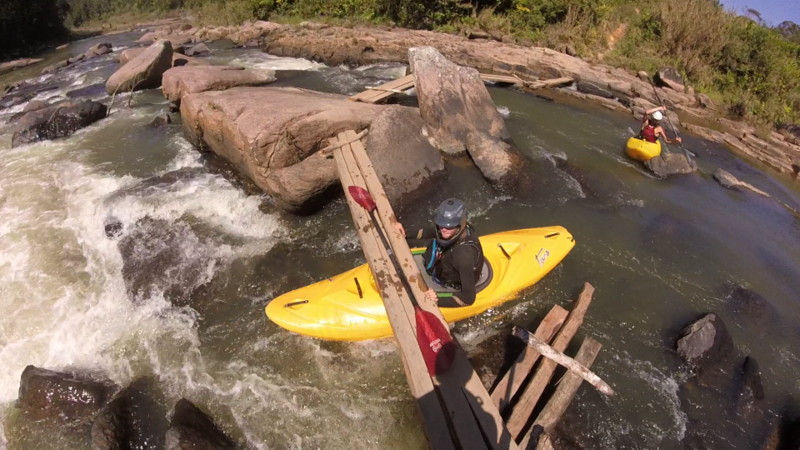 This was soon followed by our first portage, simply climbing over the rocks as the river went through them. 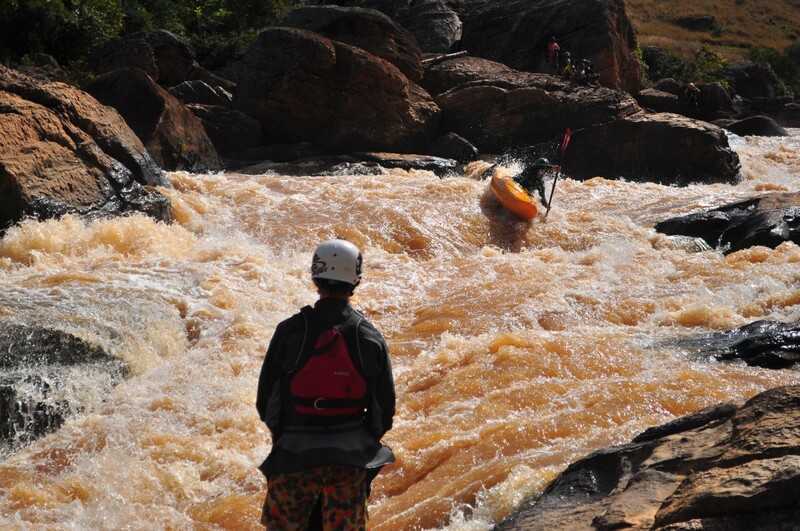 Some chilled rapids followed before we reached a steeper narrower section accompanied with a bridge over the river. We eddy hopped a bit further down before reaching a fairly significant horizon line. 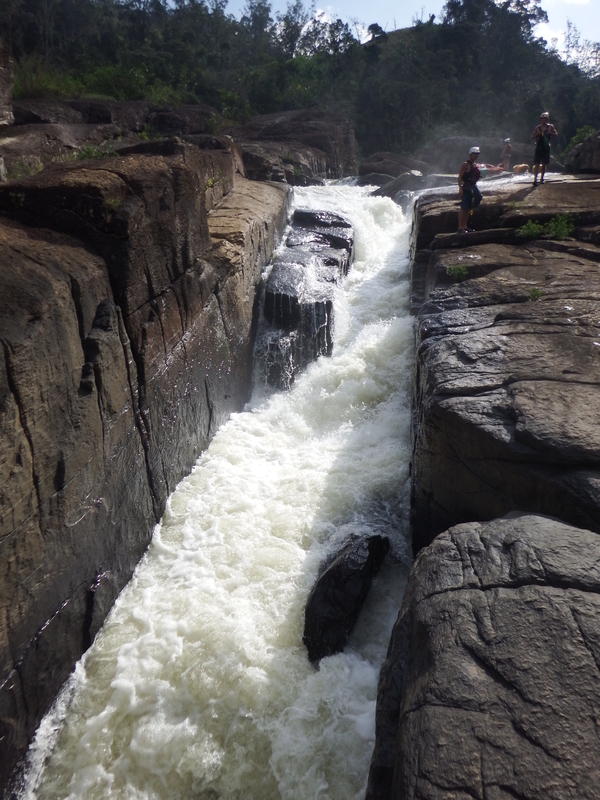 A 5 meter drop with a chossy lead in followed by a smaller drop below that we couldn’t yet properly inspect. The 5 meter drop was good to go so we fired it up. 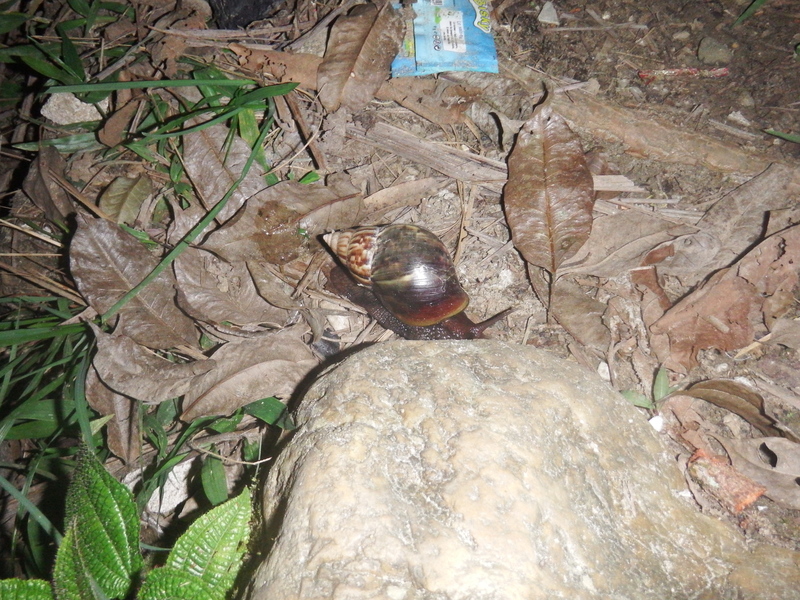 The smaller drop below was very undercut and had a rock backing up the hole so we decided to give it a miss, portaging. 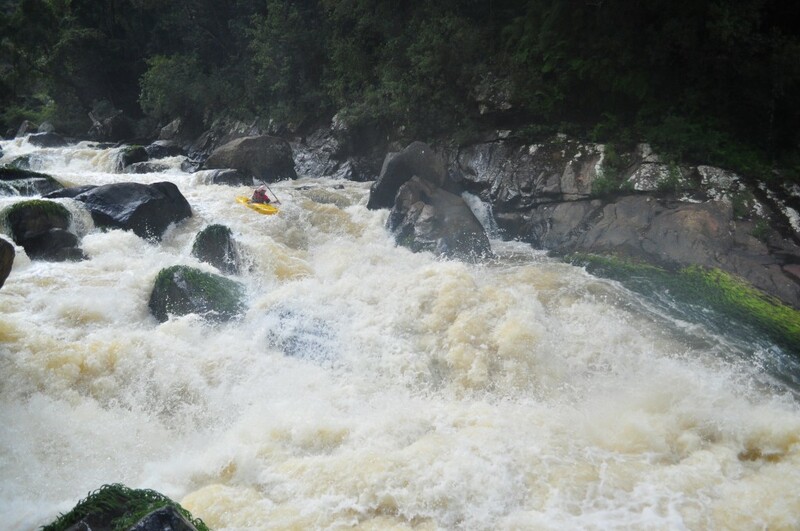 Easier rapids followed accompanied with plenty of flat water. Late in the day we reached a manky syphoned drop followed by a narrow slot with a tree branch in it. 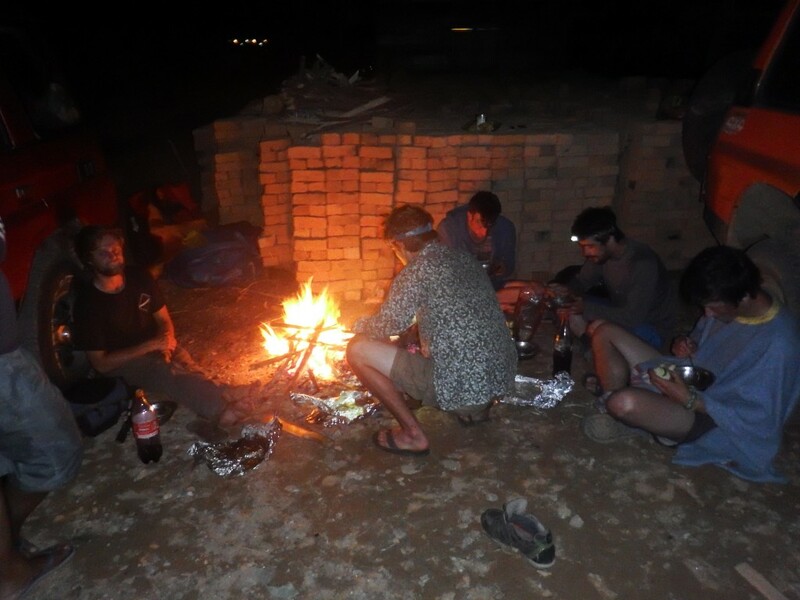 We portaged and set up camp on the rocks – a good day followed by noodles and a fire. 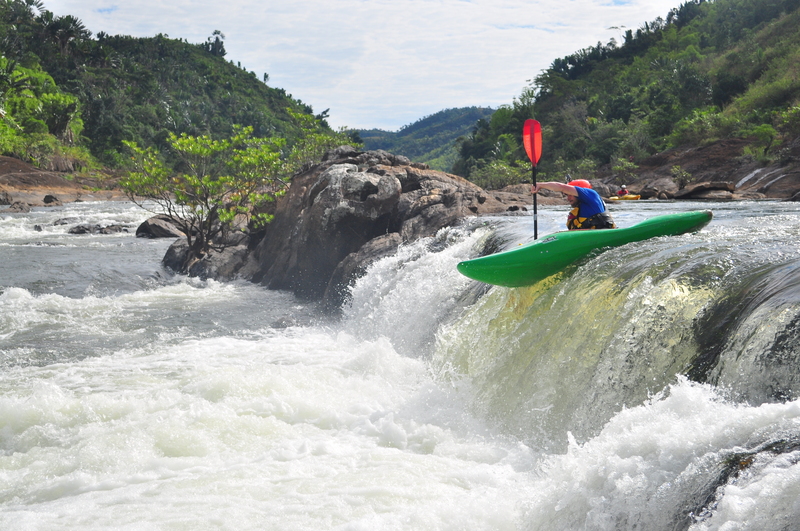 The next day started similar to the previous, early sweetened rice and on the water early, but this time we were expecting a day of flat water. 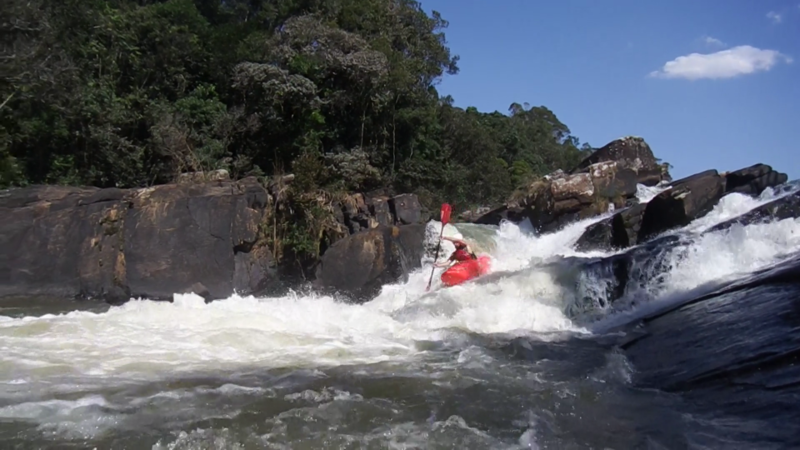 We got what we were expecting and uneventful morning of making progress on the flat followed by a lunch break (noodles and biscuits) followed by more flat water hoping to get to the start of the super steep 40m / km section of the river by the end of the day. By 2pm we had definitely reached the start of the steep, faced with our first tricky time consuming portage. This took about 2 hours moving boats and abseiling. We paddled the next rapid and set up camp. 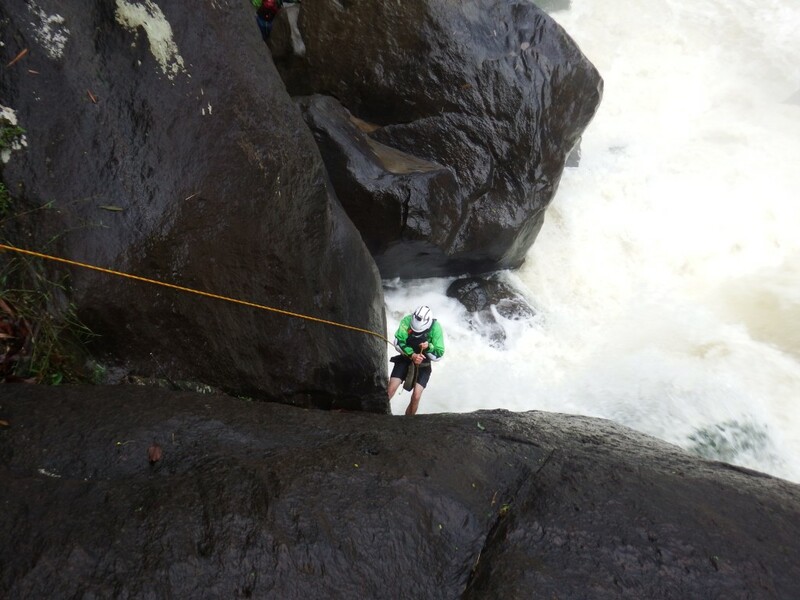 Matt portaging first rapid that required abseiling. The next day after our morning rice we soon reached a massive horizon line. 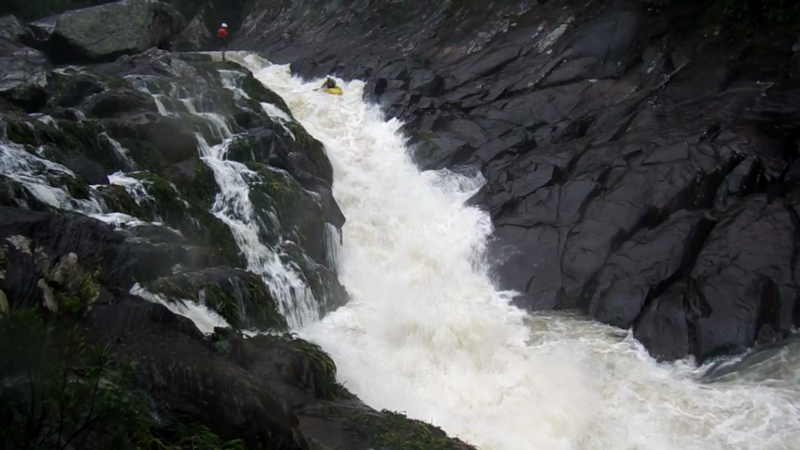 This drop was a manky 15m drop followed by big class 5+/6 rapids. Less than 1 km in to the 6 km very steep section we were starting to realise that is going to take us a long time! After realising the small paths on the left through the forest weren’t going to get us very far without a huge amount of time and effort we decided to abseil over the rock slabs on the right of the drop. 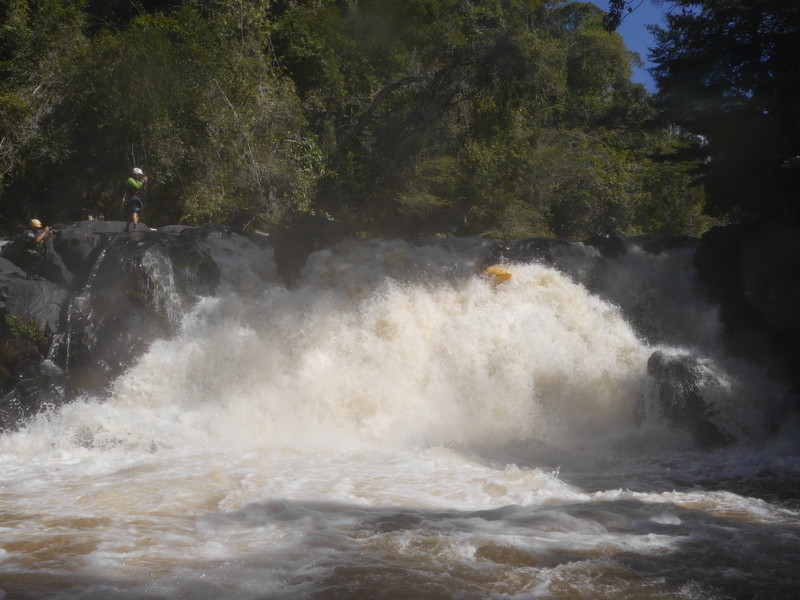 Jacob went down first to scout the portage of the rapids below – we had found a way to portage so modified the abseil to use three throw-lines so we could retrieve the line and started lowering boats and abseiling. Portaging below the big fall was also time consuming to move on the steep slippery rock. After a whole morning of portaging we eat some food on a rock slab and dried some of our camping kit in the sun (It rains a lot at night in the rain forest). 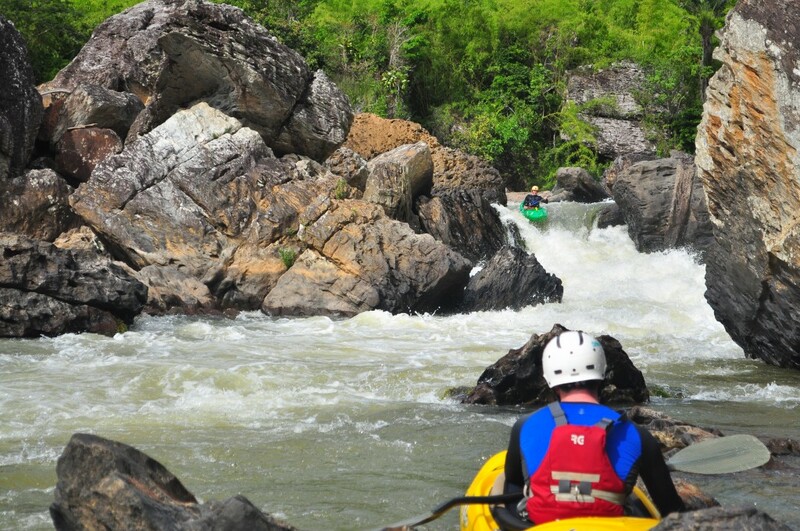 The afternoon consisted of a lot more paddling, continuous difficult rapids heading down in to a big gorge. Near the end of the day we found our self in the middle of the gorge above an unrunnable section full of syphons. Camping options were limited, however following a difficult must make (I almost didn’t make) ferry we had some food and sleep on some large boulders. In the morning we woke ready to portage on the rocks that had become slippery during the overnight rain. Portaging the last part was more tricky, so Matt and Leslie decided to run the last drop. Following this the rest of us decided to climb up a bit and absail in to the eddy below. 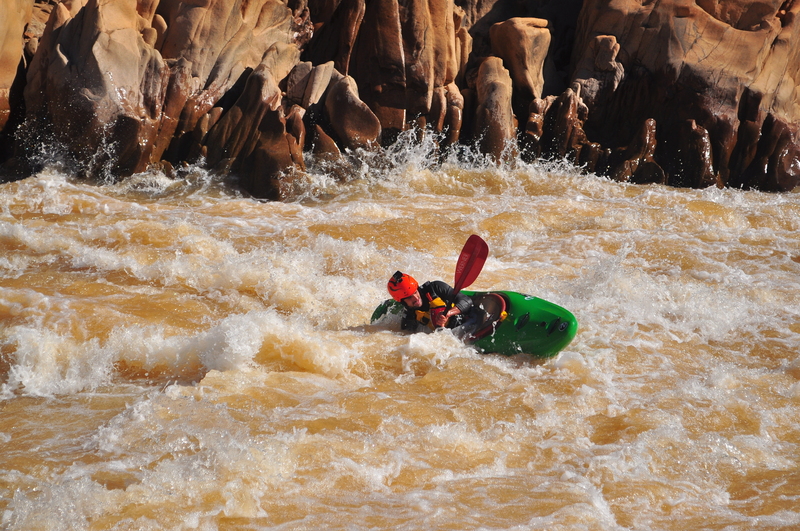 That morning we continued down to a large rapid with big holes and many syphons and undercut rock. Campbell, Jacob and Leslie decided to run it the rest of us tried to portage on the left before heading back up stream and portaging on the right which required climbing though narrow gully under the rocks. 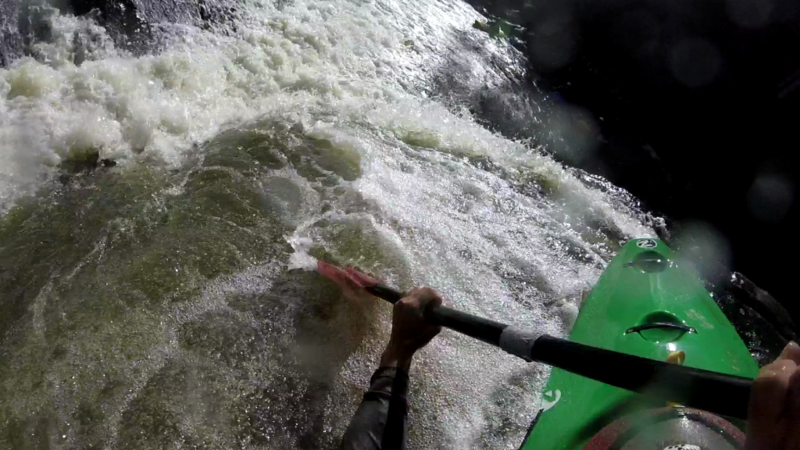 A few more rapids before reaching a large rapid in to a manky 5 meter waterfall. We decided to end the day by camping before portaging. We had now spent 2 days only moving about 5 km! 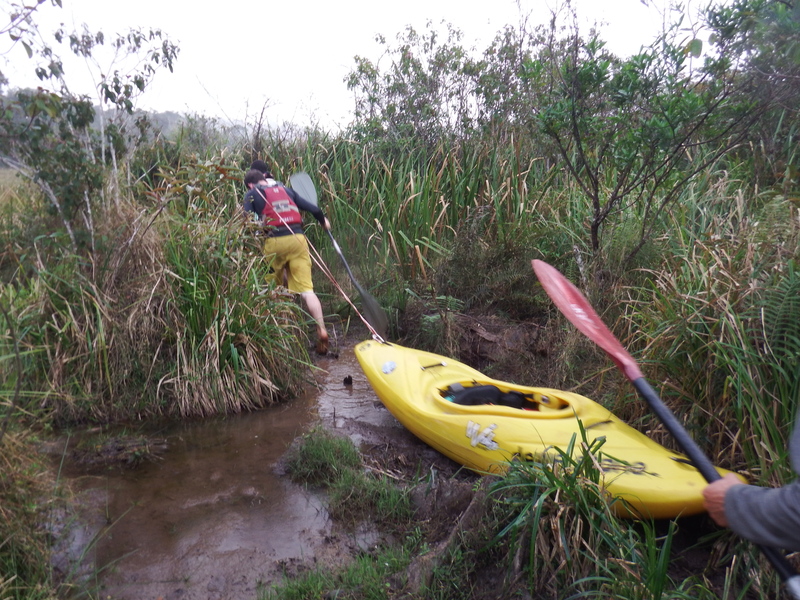 After a night of rain we started the day portaging the waterfall. 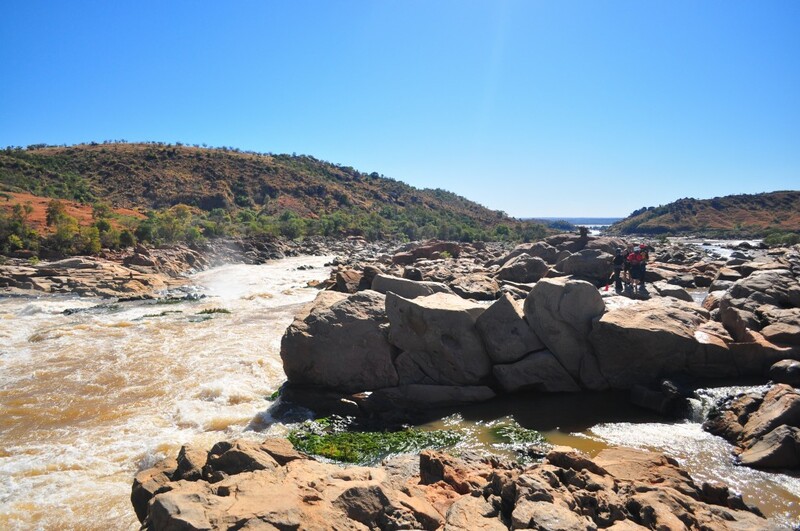 Some of the team deciding to paddle the big rapid below it resulting in a swim after some time in a hole and some deciding to walk the rapid. The morning continued with some fantastic big rapids. One of which was a massive slide Jacob went first and following a good line on the slide got caught in a powerful boil at the bottom against a wall but managed to paddle out after a while. Leslie went second, exact same line, exact same boil, paddling out was less successful so decided to part with his boat to make an exit. After watching this, the rest of the team decided they would give the slide a miss this time. By lunch time it was starting to feel like the gradient was decreasing and we were near the end of the steep section. We were not entirely correct – after some fun grade 3 / 4 we reached a massive horizon line. We were at a 25 meter un-runnable drop that ended in a cave-y pool. Since we were now out of the gorge locals were around and indicated that we could pass by following a track over the hill. We started the tiring walk on the narrow, steep mud track. Just before sunset we arrived at a small village where we bought a large quantity of bananas and were offered a room to stay in and rice with noodles. It was impressive that packets of noodles, and packets of biscuits could be bought in a village a three day walk from the nearest small road. We took this opportunity to dry our kit and buy supplies since it was looking like we could run out. 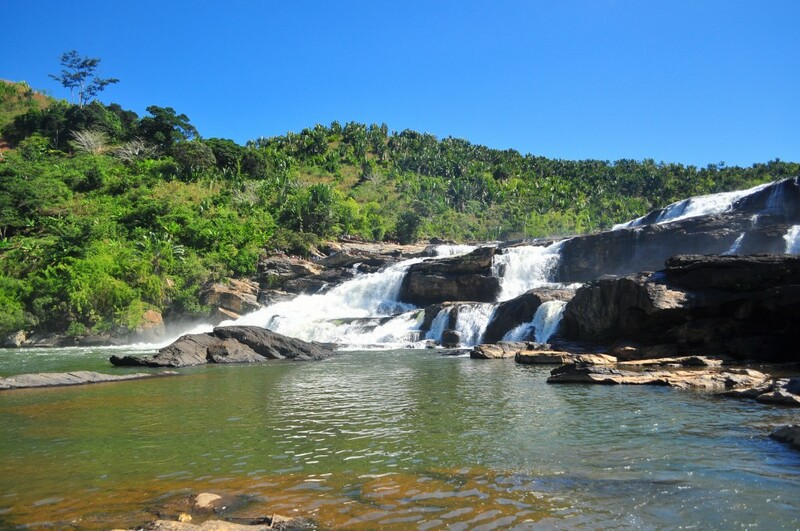 In the morning we worked our way back to the river having be told that there were more waterfalls downstream. 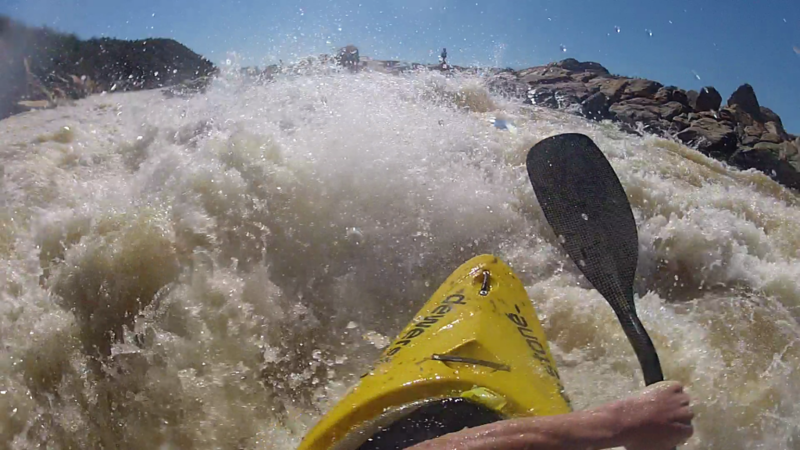 The first fall we soon reached was a slide in to a cushion wave on the lip – the start of a great day! 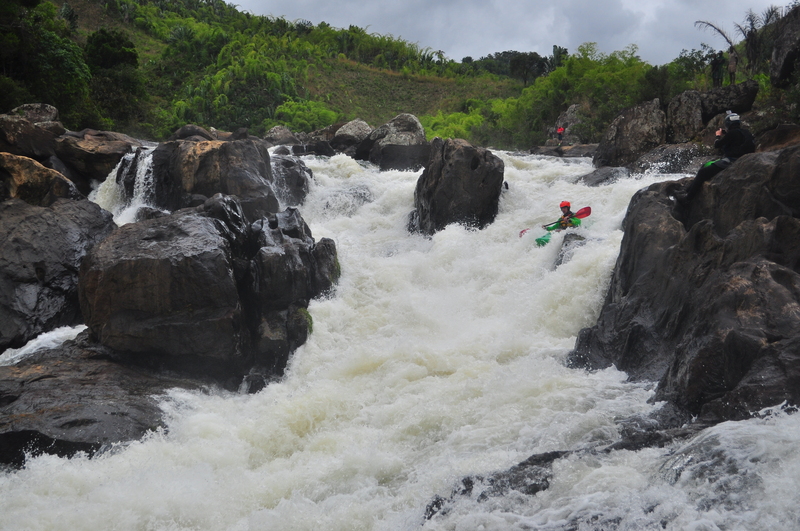 The rest of the day had lots of great drops and rapids and the portages were straight forward. Near the end of the day we reached a big waterfall that we portaged before camping… In the morning many of the team were regretting portaging it, but walking back up to run it was decided against to save time and effort. 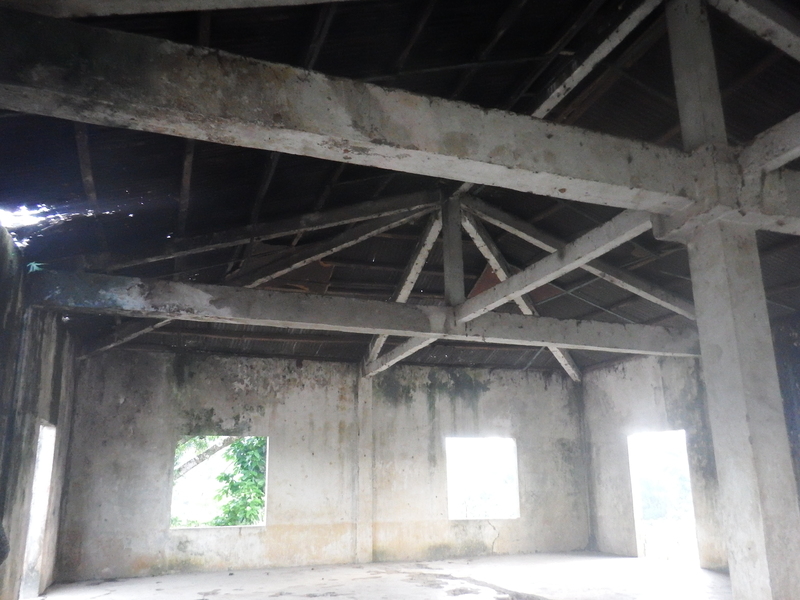 At this point we were all very tired and low on energy – a diet of noodles and rice for many days is not good! 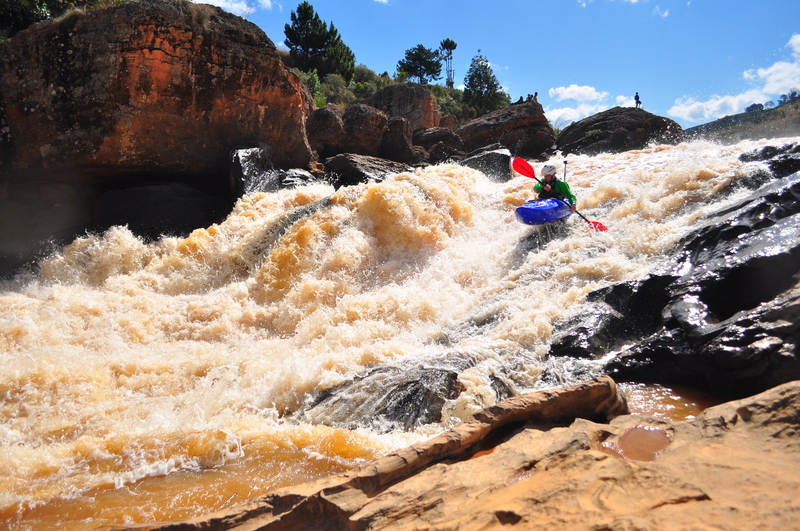 The day continued with some world class rapids, however at this point we were often choosing the easiest option to get down stream. 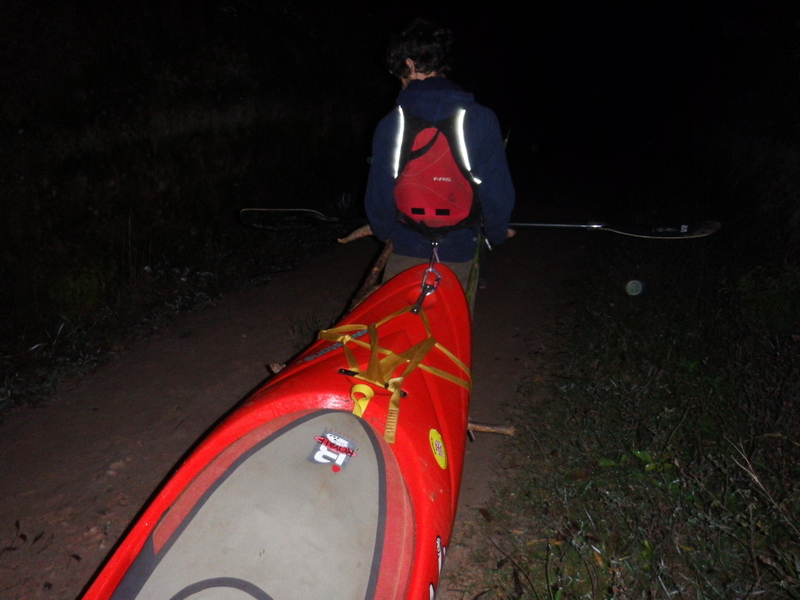 If a rapid was easier to portage than run we would often portage things that were good to go. Likewise if portaging was difficult it was tempting to run stuff that we probably wouldn’t choose to run otherwise. One of the highlights of the day was a massive slide in to a big hole with slots either side of the slide – a big hit at the bottom! 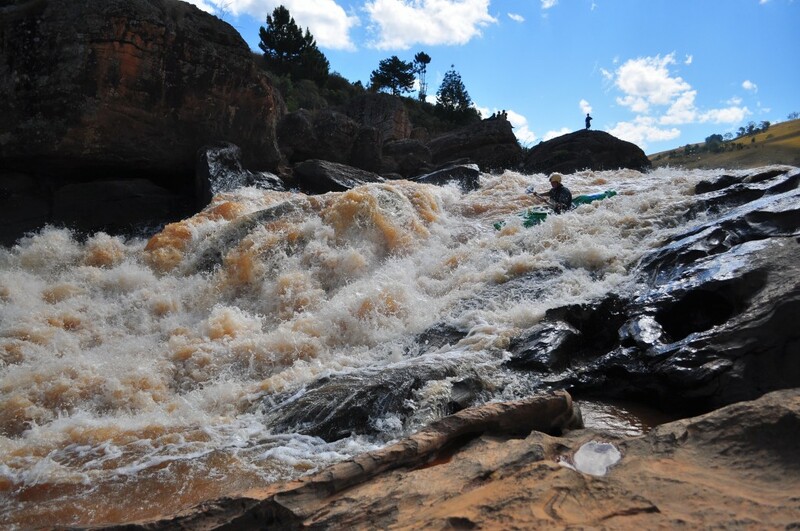 By the end of the day we had reached easy rapids and flat water and tried to get as much distance covered as possible before ending our seventh full day of paddling on the river camping on some grass at the back of a small sandy beach. 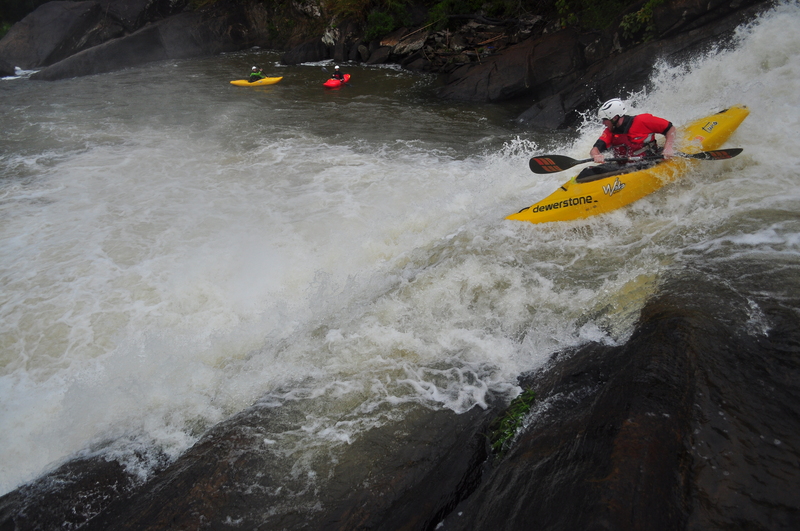 We woke up to heavy rain and had a slow morning before a day of flat water to the end of the road. 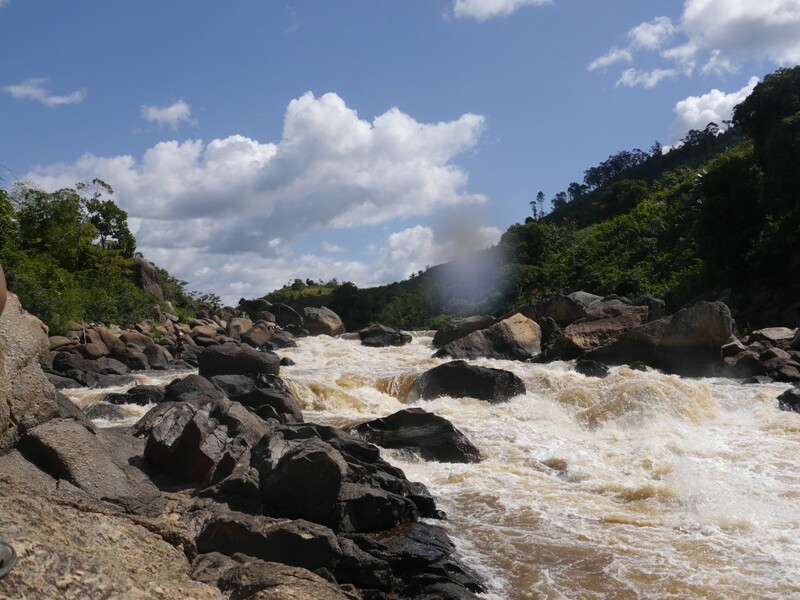 Despite there being more gradient and potential for more good rapids below we took out here and drove 5 hours to Tomisina to eat lots of food. 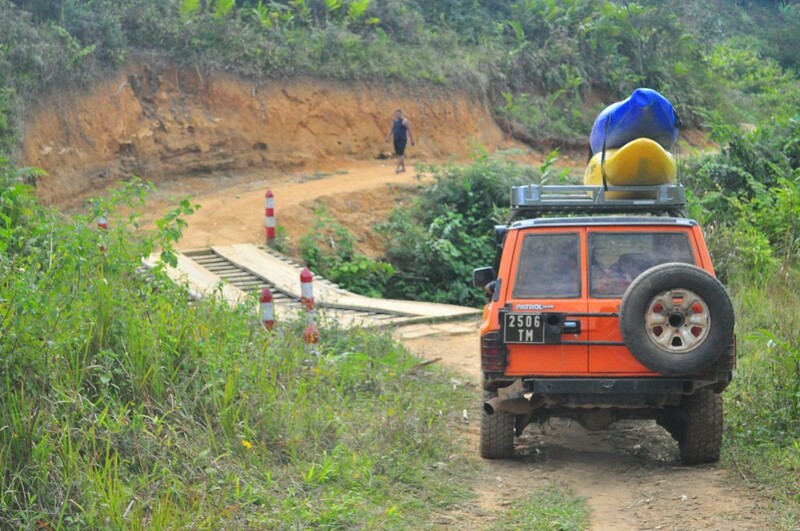 Blog post about us heading back to paddle the lower road side part of the Ivondro to follow! 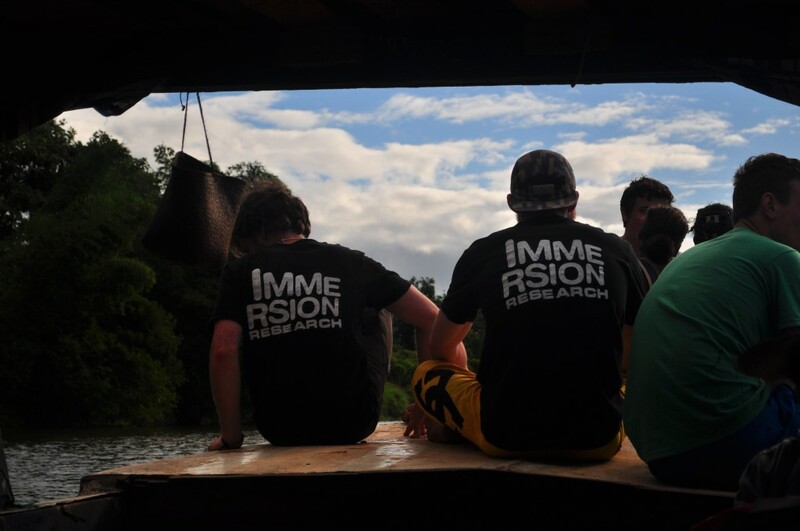 Following the by turns punishing and invigorating lessons taught by our previous endeavour on the Sakaleona, the team began the return journey to Tana in dire need of a pick-me-up. This morale boost manifested itself in multiple gastronomic outings, not least of which was a visit to the fantastic Chinese speciality restaurant of our driver, Andry, as well as a jaunt to sample the all-you-can-eat meaty delights of “Carnivore” – a trip that Sam and I lamentably missed on account of illness (the reader may be pleased to know that both Sam’s and my bowels are in fine fettle at the time of writing!). Besides the culinary, the purchase of some rather dazzlingly snazzy evening-wear (certain garments of which will doubtless be commonplace on catwalks in Paris and Milan next year) in Tana’s “Soixante-Sept Hectares” market brought the spring back into all our steps. Nonetheless, the question weighing on everyone’s minds was where to go next; our original plan of heading to the seven-day commitment of the Maningory seemed a daunting prospect, especially considering the volatility of Josh’s injury. 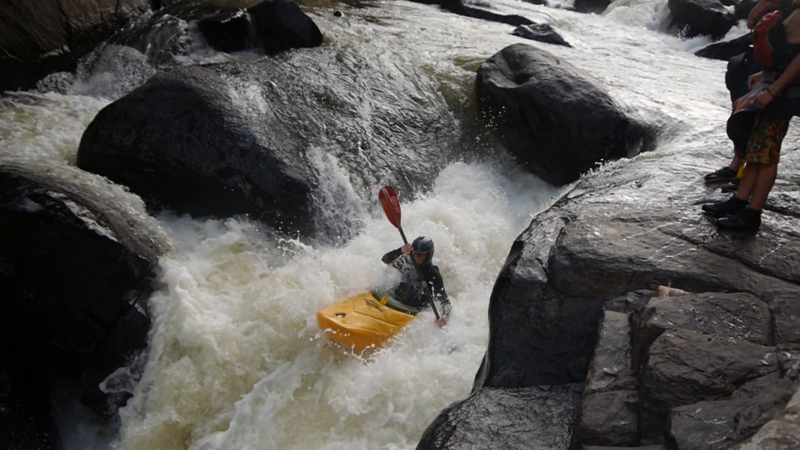 In the end, a providential meeting with Tyler Bradt, Isaac Levinson and the rest of the Wizard’s Eye crew convinced us to head north-west to the single-day Young Guns section of the Ikopa, described by Levinson as one of the greatest rivers he had ever run. 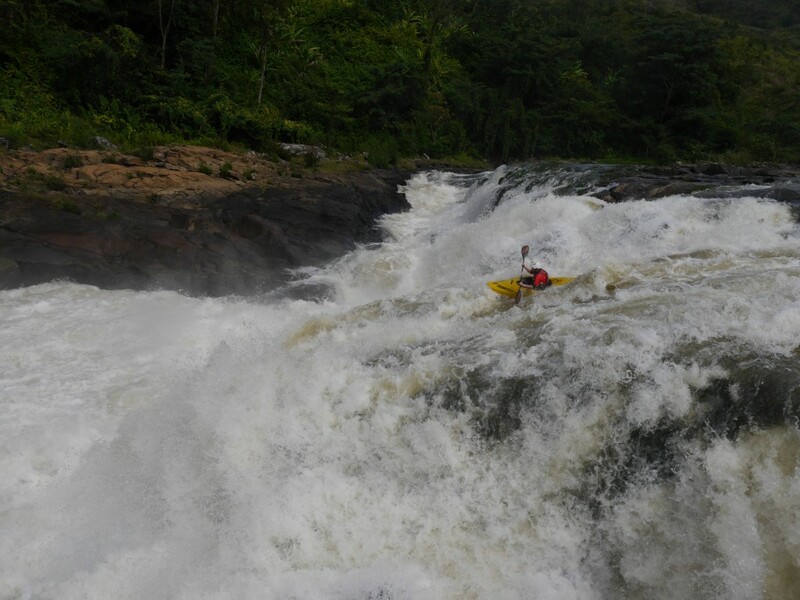 This section, achievable in under one day, ought to give Josh a reasonable impression of his shoulder’s integrity, without the danger of nearly a week’s paddling or hiking on a serious injury. The Main Tirano region, through which the Ikopa wends its merry, or, in the case of the Young Guns section, hectic, way, is far more arid than parts of the country we had previously visited. It seems that little of the Madagascan countryside has successfully escaped deforestation and subsequent desertification; the land is unquestionably still the greenest and most ruggedly beautiful place I have ever had the delight of seeing, but the small glimpses of native virgin forest we have had suggest a former majesty that would have been wondrous to behold. 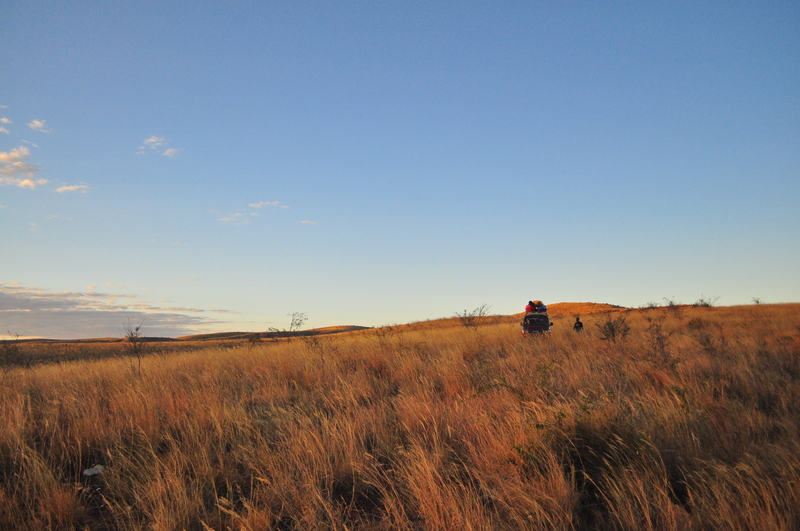 Journeying to the Ikopa took only 6 hours, meaning that by mid-afternoon on the 13th of July we were setting up camp in this dry landscape of hard-baked mud and yellowing long-grass, overlooking the put-in. 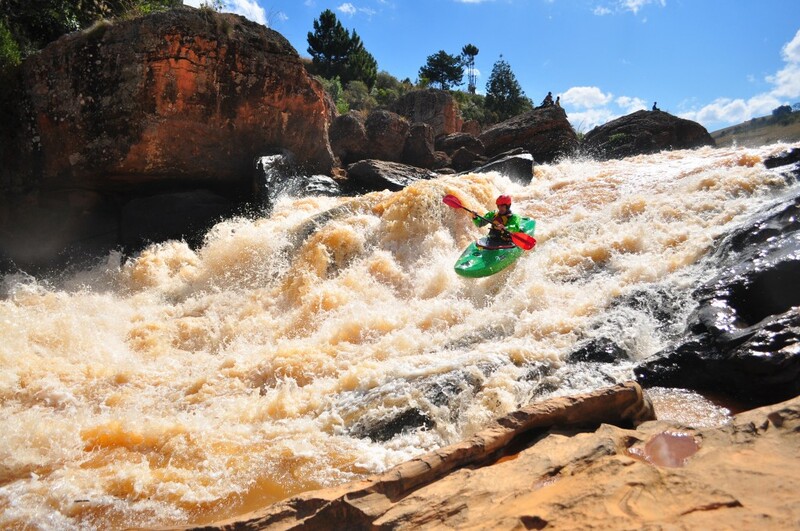 After a hearty meal, and with some of us revelling in the joys of sleeping on the rooves of our 4x4s, we settled into our sleeping-bags, lulled into dreams of paddling un-laden boats on some of the largest volume, steepest whitewater we had ever seen! Rising before the dawn, we breakfasted and were on the river shortly after the sun was risen. 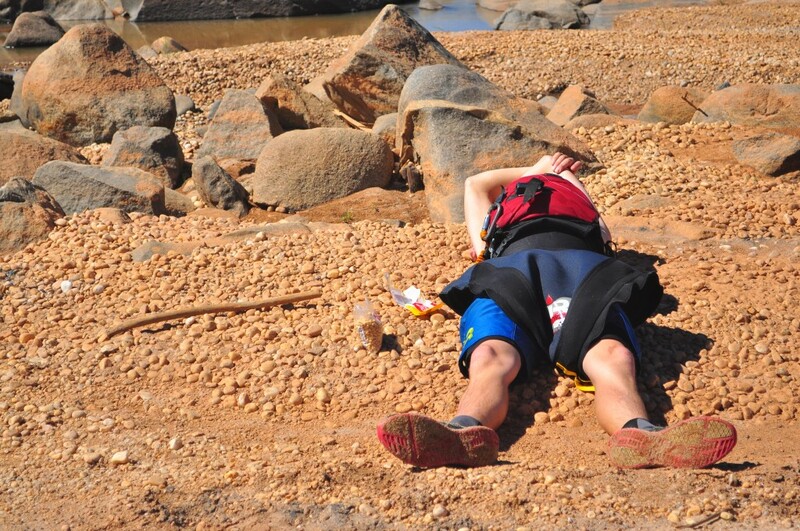 Now came the moment of truth for Josh, who had been debating whether or not to paddle since the day before. 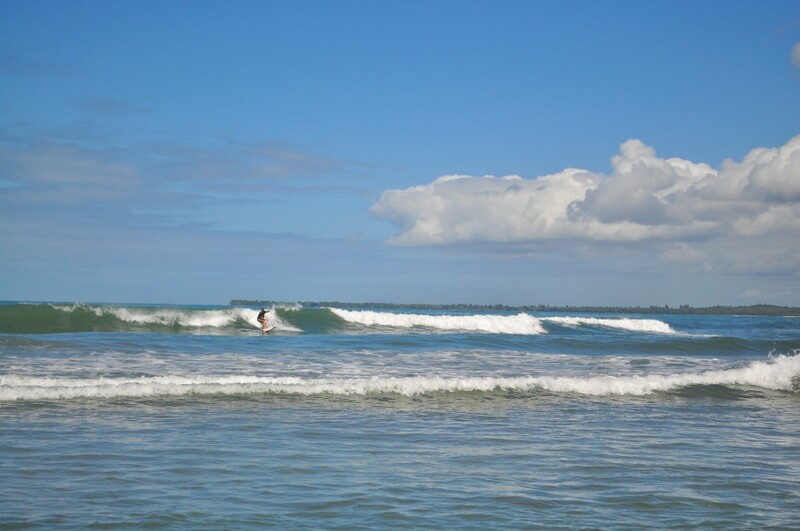 Having tested the injury at the put-in, much to everyone’s disappointment, Josh was forced to decide against paddling, leaving the six of us to complete the section. Feeling somewhat out of sorts, both due to Josh’s decision and the unexpected responsivity and manoeuvrability of our emptied boats, we pressed on downstream through the early chossy grade 2 and 3 rapids. After around 5km of fast-moving flat, punctuated by the occasional bouncy wavetrain, we were at our ease and beginning to wonder if we hadn’t accidentally put on the wrong section. Then came the first horizon-line, with random bursts of spray exploding skywards beyond, and all such thoughts vanished! Thereafter, the gradient ramped up, with huge tongues, crashing waves and surging eddy-lines that swallowed our boats, span us, flipped us and left us grinning like imbeciles! Soon after this accelerando in pace came the first rapid that required scouting, a relatively simple, but nonetheless intimidating, move, down a colossal wavetrain, aiming right towards the end to avoid a formidable pour-over, before catching a curler and type-writering left again. Upon reaching the bottom, Leslie, Jacob and I exchanged high-fives, whoops and congratulations, agreeing that it was probably the single largest rapid we had ever run! Perhaps a kilometre of read-and-run grade 4 boogie followed before the Ikopa’s next scout-worthy offering. Though certainly not as continuous, or even steep, as the first, this multi-step rapid for some reason set my stomach churning (although this could equally be attributed to my bowel’s then less-than-stable status); a sloping tongue flowing into a steep V-hole and boiling pool, immediately charging over a river-wide ledge-hole that dealt out some serious downtime to Leslie and Jacob. Once again, following a remarkably smooth line that found Campbell and me sharing a whirlpool-ish eddy for a short while, most of us agreed that it was probably the single largest rapid we had ever run! 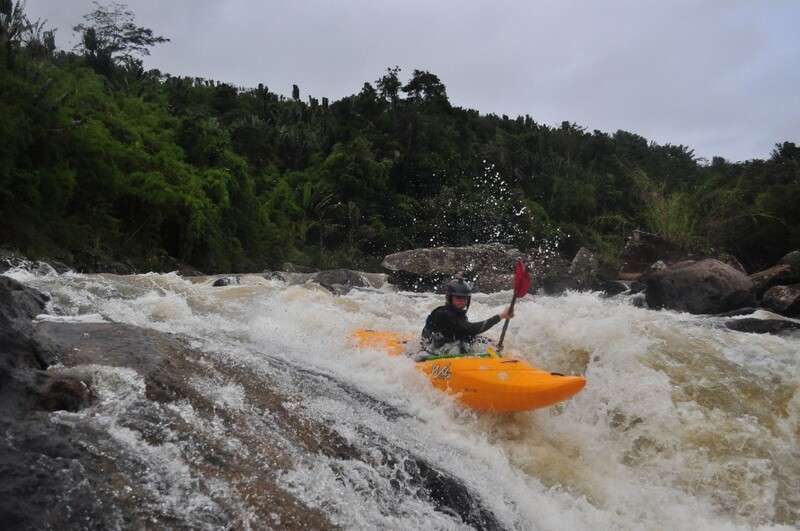 But the rapid was not yet over! Jacob confirmed that the river once again dropped off round the corner, but insisted that the line was simply “good to go; just aim far right at the bottom”. He failed to mention certain vital aspects, such as the first large hole in which I back-looped, span, hit Campbell in the ribs with my stern as he passed and generally received a significant beating, or the second (or indeed third) hole(s), in which Sam enjoyed some equally pleasant hospitality from the river. 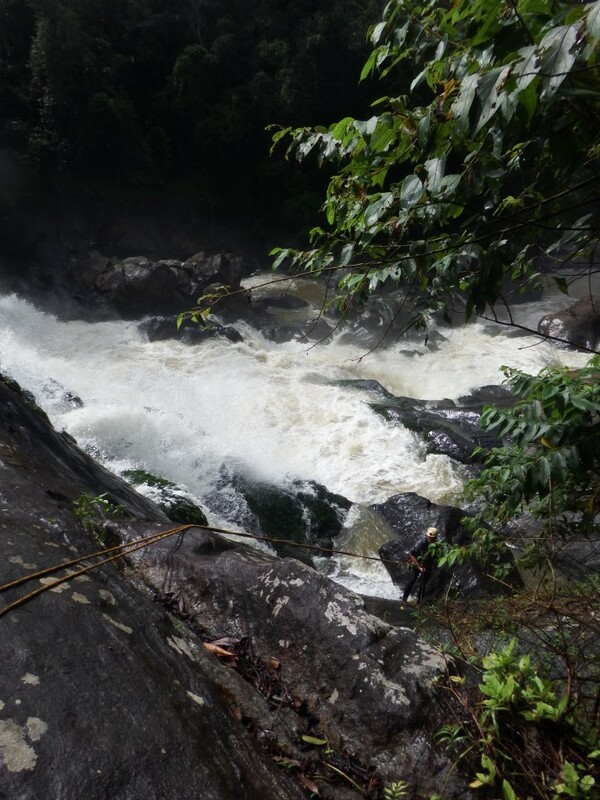 Of course, the bottom of the rapid found us all grinning and jokingly berating Jacob for his sensational misinformation – but in his defence, the rapids do look much smaller from the bank! A long flat pool led to a further horizon-line. 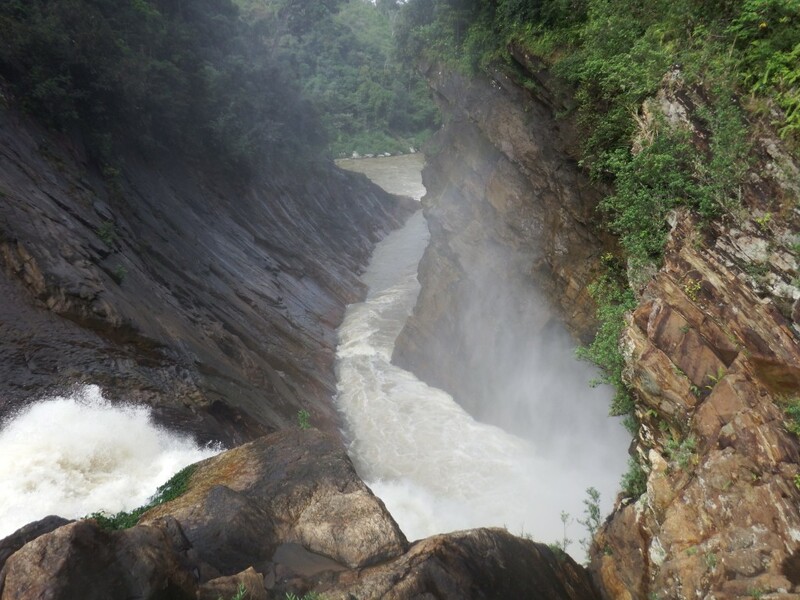 The rapid that this heralded was, at a conservative estimate, around a kilometre in length, steep and boulder-strewn. 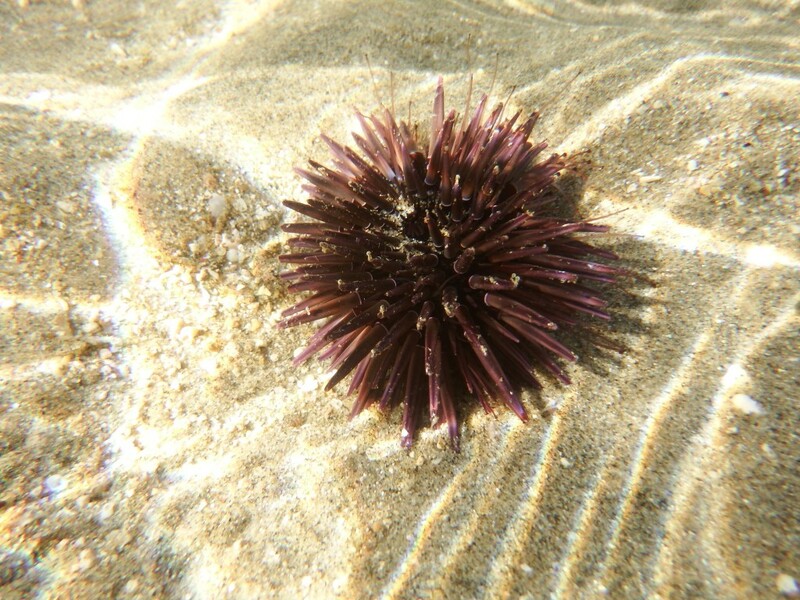 One rooster-tail in particular belied a rock that would almost certainly have delivered fatal hits if a paddler failed to stick the line higher up. After nearly half an hour of scouting, the majority of us had decided to walk around, and the general consensus was that lunch was in order. Here, Campbell proved himself the hero of the day, producing 6 Mars Bars procured in the western supermarket the day before! The lunchtime portage, complete with sunbathing for Jacob (who insists that paddling in clothes is a waste of good sun), lasted nearly 2 hours. Worse still, we had barely got back in our boats and taken a paddle-stroke when we came upon the next portage. This, we are fairly sure, was the “definite portage” that Bradt and Levinson had mentioned a few days before. The rapid, choked with rocks and charging down into a monumentally disgusting slot (although Jacob is fairly confident there was a “sneak-line down the left”), followed by a simply unmentionably awful twenty-foot pour-over hole with a towback that was sucking in all flora and fauna within a ten-mile radius, necessitated another portage! Nearly 3 hours later, after many more significant rapids of varying timbre, gradient and buttock-clenching intensity, including a particularly memorable tongue that spat me upside-down into a horrible cauldron, we slid happily into the ferry-town at the takeout, exhausted but exuberant, and ready to devour an unreasonable amount of spaghetti bolognaise, chips and bananas! 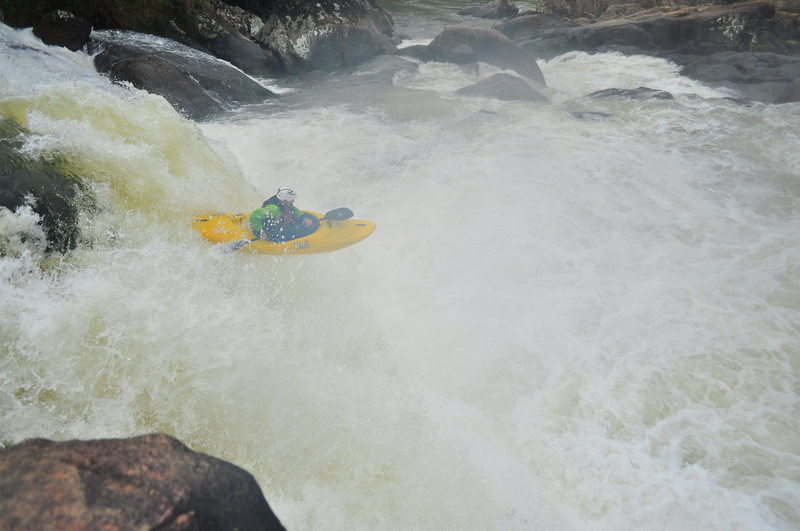 Despite the rest of the group being unanimous in their opinion that the Ikopa constituted a major milestone in their paddling careers, and contained some of the largest whitewater they have ever encountered, Sam nevertheless maintains that the Dart on the first step is both bigger and scarier! He is wrong, but we choose to humour him! 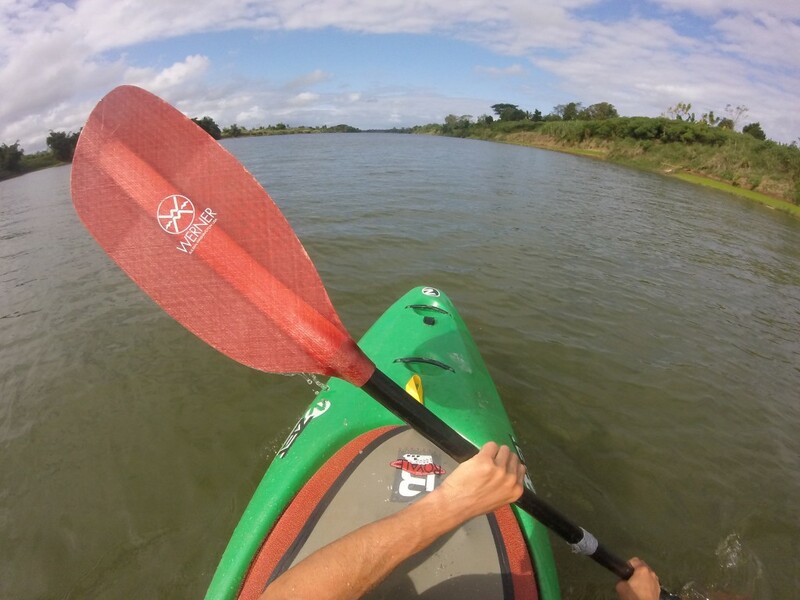 We left Tana early on the 2nd of July to head back south to try and make the first kayak descent of the Sakaleona. This river looks incredible on Google Earth and is far more continuous than anything else we have seen so far. 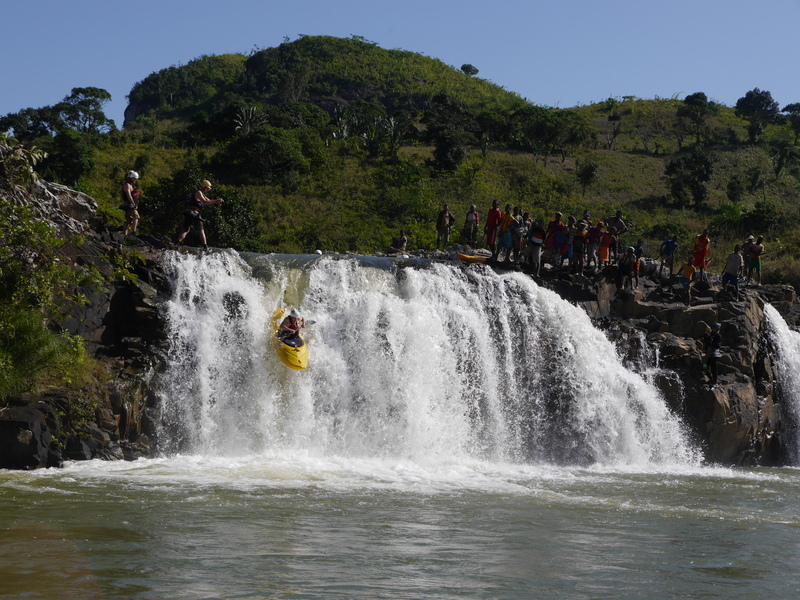 The put in is at the bottom of the biggest waterfall in Madagascar, supposedly a 200m monster! 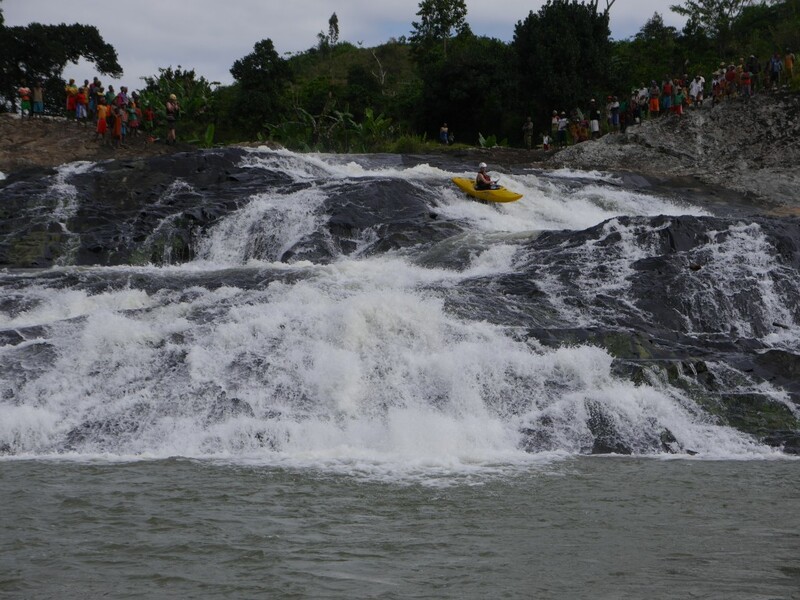 We knew it wasn’t going to be easy to get to this river but no one could have foreseen the adventures which unfolded over the next 10 days! Campbell, Josh, Leslie and Jacob had been on a night out in Tana the evening before which started with rum in the hotel room and ended with bribing a policeman not to put them in jail! They were are feeling a bit worse for wear this morning! We had a day’s drive east and then south along the coast to the end of the tarmac road before the off roading began. The next day we carried on for another 80 km on dirt roads and tracks to Nosy Varika. The off roading was fairly easy as we were quite close to the coast so the tracks are made of sand and not so badly affected by rain. 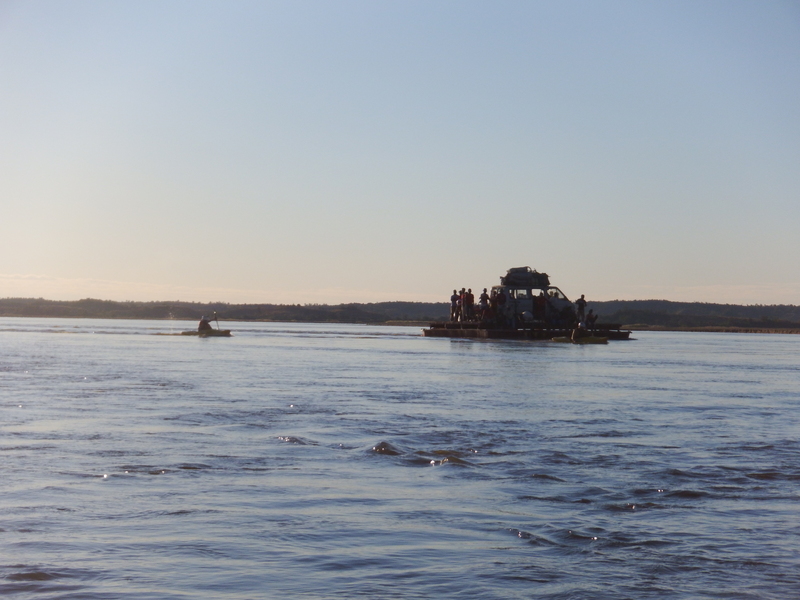 We had to take a couple of ferries across rivers and ford a few streams to avoid broken bridges but we arrived in Nosy Varika without much trouble. What happens in Nosy Varika stays in Nosy Varika! We got about 100m from the hotel before we were stopped by a closed road. From Nosy Varika we were heading back west inland and the roads changed from sand to mud, as the weather had been wet for the last few weeks the road was closed to prevent further damage to it. Unfortunately this problem required some thinking and decision making to solve, which in nobody wanted to do! 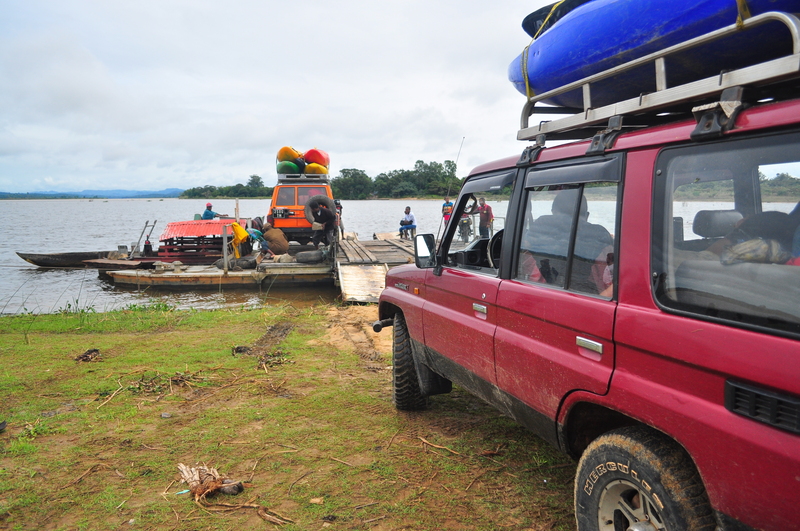 But with the help of Andry we formulated a plan to get past the rain barrier, for 200,000 Airary (≈£50) we could get a boat about 40 km up the river to Sahavato ferry. From there the locals told us we would be able to get a Unimog, which is a big 4×4 truck, to take us up the road to Ampasinambo which was near the put in. We were all excited for the adventure which was unfolding and set about slowly packing our kit in our various unfit states, it took us some time and two different people pooed themselves that morning. Finally at about 13:00 we left Nosy Varika in our boat. It took about 4 hours to get up the river and we arrived just before dark. We had been given the number of someone to call who would help us sort out a Unimog but we couldn’t find any signal to call them. We managed to find a random bloke by the ferry terminal who said he could get us a Unimog and that we should meet him at 07:00 the next morning. It was now dark so we set up camp on the beach in the middle of the busy river port and went to sleep. The next morning we packed up camp and crossed the river to meet our friend from the night before. Unfortunately we didn’t have much luck sorting a Unimog that day. While trying to find the guy from the night before we came across another person who reckoned he could sort us a mog for less money to take us twice as far, he told us we’d leave at 08:00 so we sat down to wait. When the guy from last night reappeared we told him we had already sorted it. 08:00 came around and nothing seemed to happen, we found our supposed driver and tried to find out what was going on, all of a sudden the price shot up and nothing was possible until tomorrow. When we went back to the guy from the night before he was now busy for the day and there seemed to be no other available Unimogs. 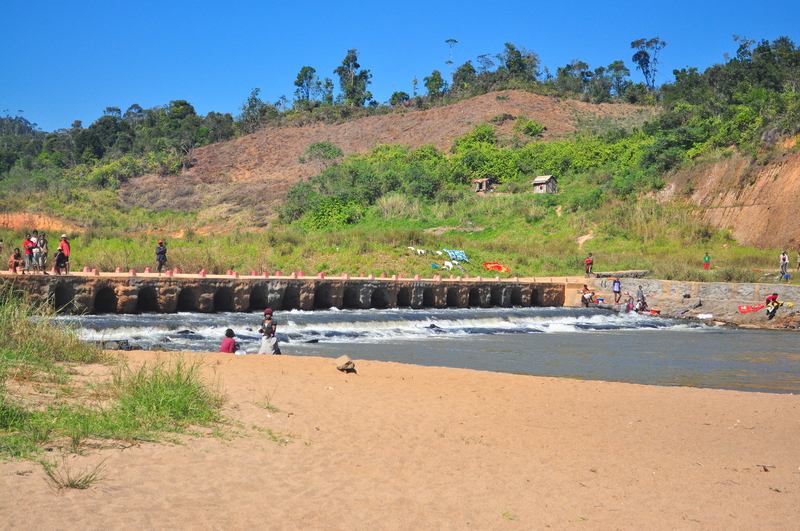 It was also clear that we only had enough cash to get to Ambodilafa which is half way the the put in, we would then have to walk the last 40 km to Ampasinambo. With nothing to do at the ferry port Campbell, Josh and Jacob walked 5km up the road to Sahavato to try and find Patrick who we had been told to contact when we were in Nosy Varika. We got to Sahavato and were told Patrick would meet us at 12:00, then 12:30 and then 14:30 and then he never turned up. At about 17:30 we all regrouped by the river, a bit put out by the lack of progress, and discussed our options over dinner. We decided that as we had come this far we should try again in the morning and if we still had no luck by lunch time paddle back out to Nosy Varika. Just as we were leaving the ferry terminal to find somewhere to camp a Unimog came down the road, in a last ditch attempt we went to see if they were available for the morning. 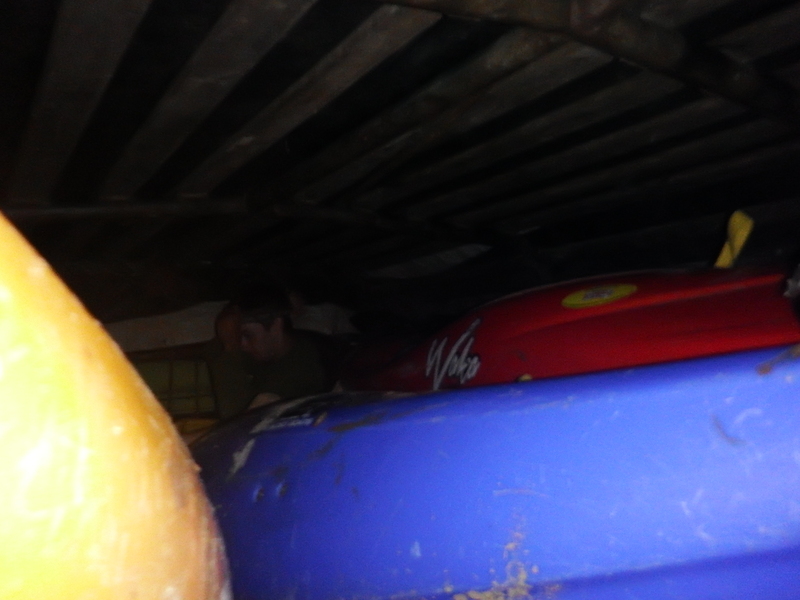 We were put on the phone to someone who spoke broken English and they explained that we could go now, elated that the day was no longer wasted we piled our boats into the back of the truck and scrambled in on top! The solitary stable, if somewhat dimly-lit, image we have from inside the Mog! At 19:00 we set off to Ambodilafa in the dark. 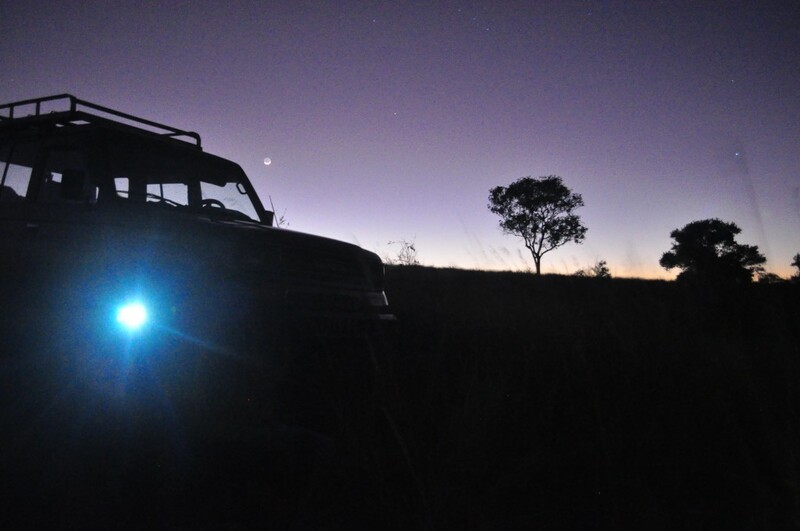 Our Unimog had no windscreen and no headlights, just a bloke in the passenger seat with a small torch! It was a long and uncomfortable journey being battered around in the back of the truck but finally at 01:00 we arrived! We set up camp just out of town and all passed out. The next morning we all set up our different makeshift portage packs and set off for the first time carrying our loaded boats. At this point we ambitiously thought that we would be at the river in two days! 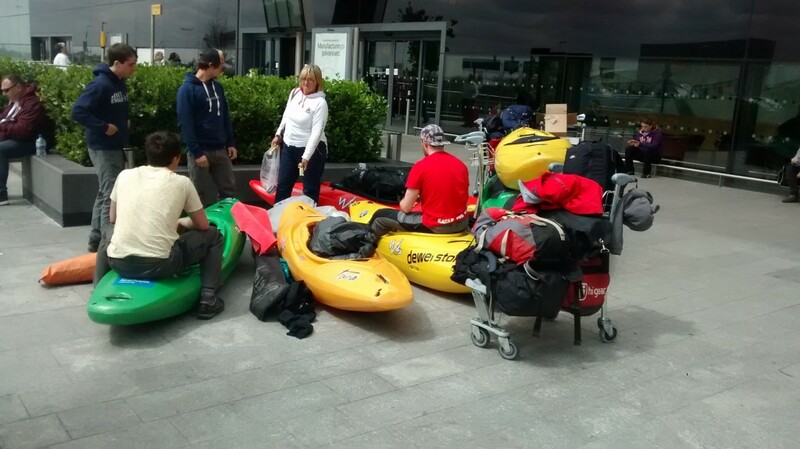 We think with camping kit, damp kayaking kit and 9 days of food our boats weighed about a ridiculous 45 kg, in the the sweltering heat progress was very slow. We could barely cover half a kilometre before we needed to stop for a rest. Each time we stopped we then had to do a squat with 45 kg precariously strapped to our backs and regain our balance to go again. By lunch time our ETA had moved to 4 days away! At about 18:00 we decided to stop for the day and rest as it was starting to get ridiculous. We had covered a measly 6 km in a whole day of walking. 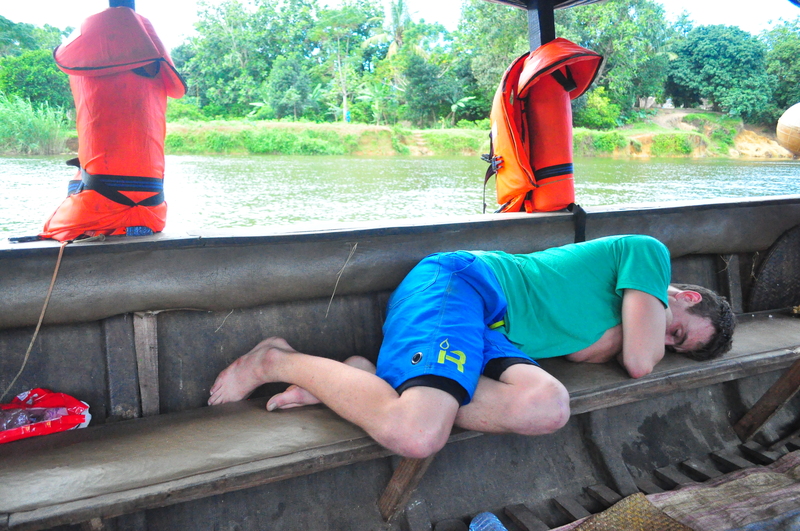 Josh’s arm had gone dead at some point during the day and was causing him a considerable amount of pain. We agreed to get up at 03:00 the next morning and carry on in the dark when it would be much cooler, we were all optimistic that progress would be better tomorrow! We woke at 03:00 the next morning and it was quickly clear Josh’s arm wasn’t any better, after 8 hours of rest it was still completely dead and he could put hardly any weight on it. 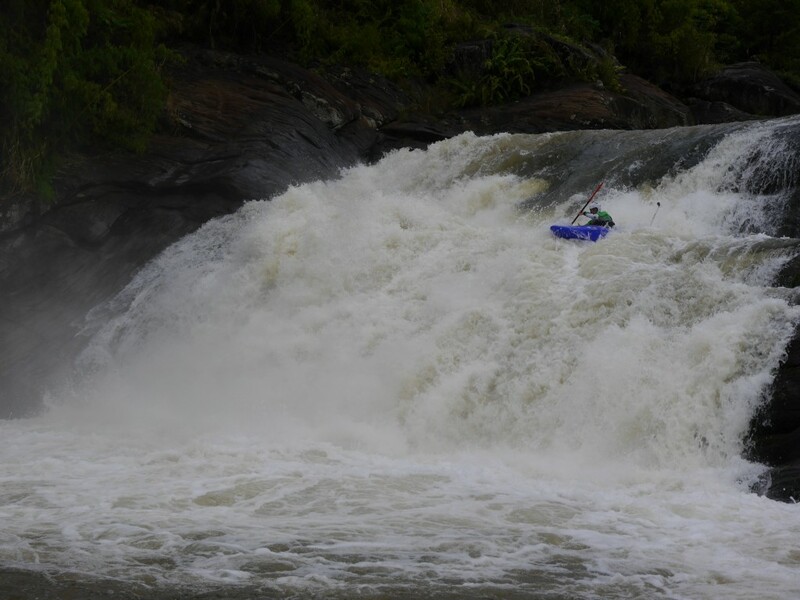 We took the decision to turn around, even if we did manage to get to the river there was no way Josh was going to be in any fit state to paddle 4 or 5 days of hard white water! As we had no more money left, so couldn’t afford a Unimog back we decided the best plan was to walk back to Ambodilafa where there was a river which was big enough to float down, this would take us back to the Sakaleona at Sahavato ferry. From there we could paddle the 40 km of flat back to Nosy Varika and our trucks. 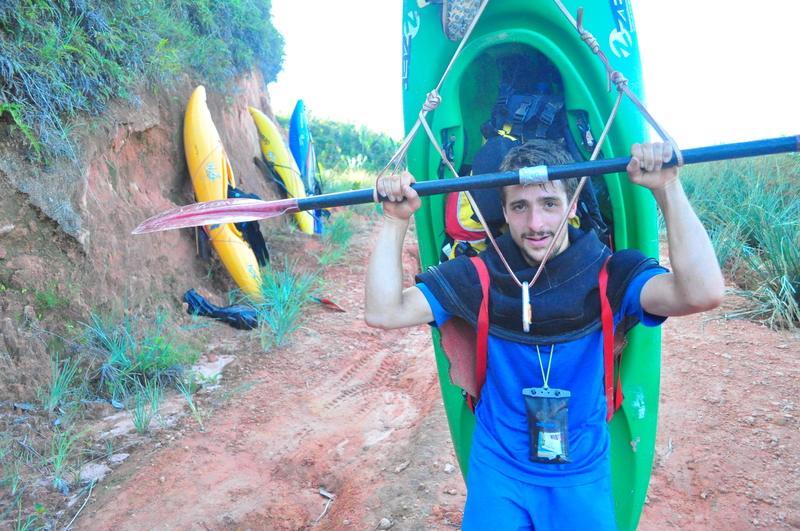 The first job was to fashion Josh a sled so he could drag his kayak instead of carrying it. 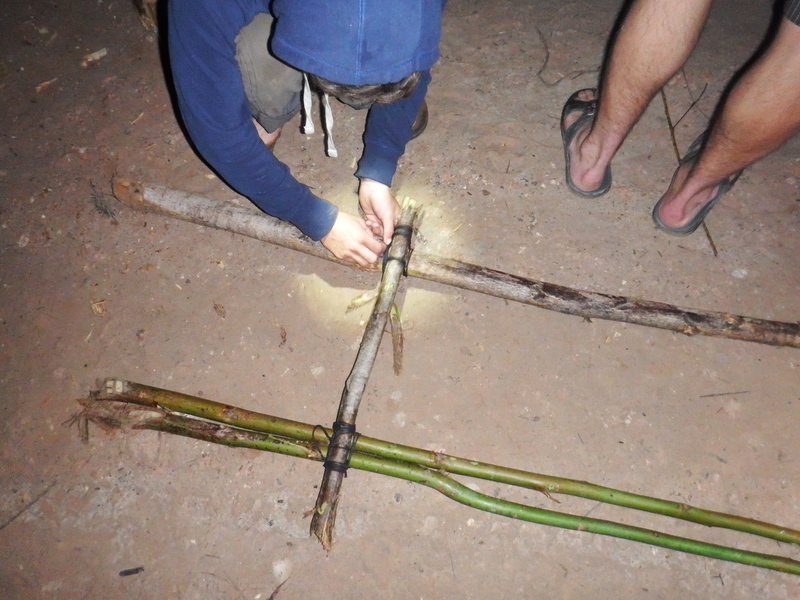 We set about hacking down some tree branches with our machette and lashing together a simple sled with guy lines. At 05:00 we set off back the way we came. We made much better progress in the cool morning and by 09:30 the first if us had reached the river. Some of us went back to help Josh, although his sled worked okay on the flat it was incredibly hard to drag up hills! We were all battered and aching after our relatively short walk with boats, most of us have raw patches where our boats have rubbed. I think we all agree we would need to shave a considerable amount of weight off our boats before we try carrying them again! We got bananas and coffee in town for lunch before getting on the river, it was incredible to be cool and able to move easily again! That afternoon we paddled for a few hours on flat water with one portage before setting up camp early and cooking a massive meal! 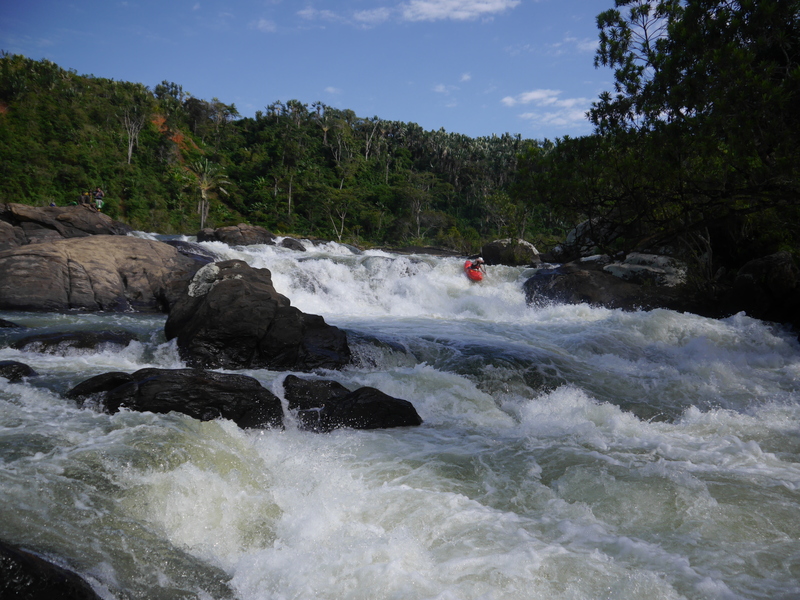 We were on the Sahavato river which we believe is a first descent, it was far too low and to get down most of the rapids we had to pick and push our way between the rocks. 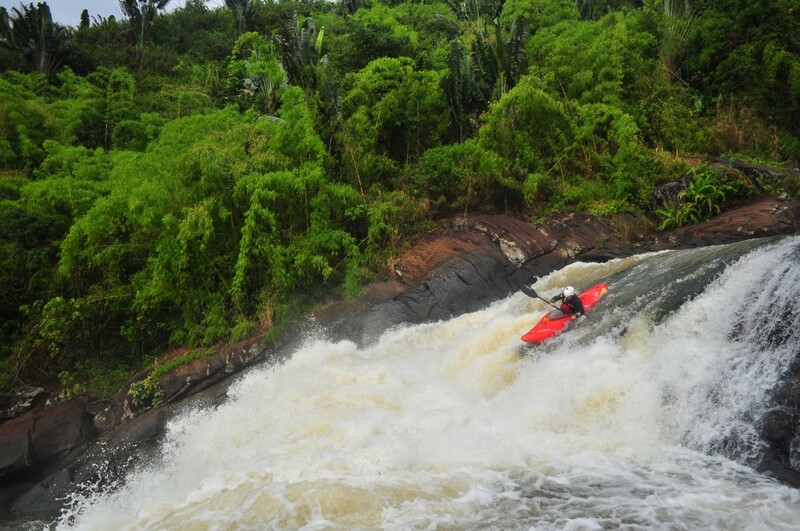 There were a few good slides slides and drops in our second day of paddling and we all agree it would be a good run with a lot more water, perhaps one for the end of the rainy season/ early dry season. That said it was far better than walking out with our boats! Josh’s arm was still very weak and painful and paddling was seriously hard work for him, at the end of the day Campbell was towing him on the flats. By this point it had been seven days since we had left Tana, we were all keen to get back to the trucks as quickly as possible and get out of this area! We discussed our option that night and there was talk of paddling the last 50 km of flat overnight so we could drive back the next day, but we finally agreed that the best plan was to get up at 04:00 and be on the river at first light then paddle the full 50 km in one day. 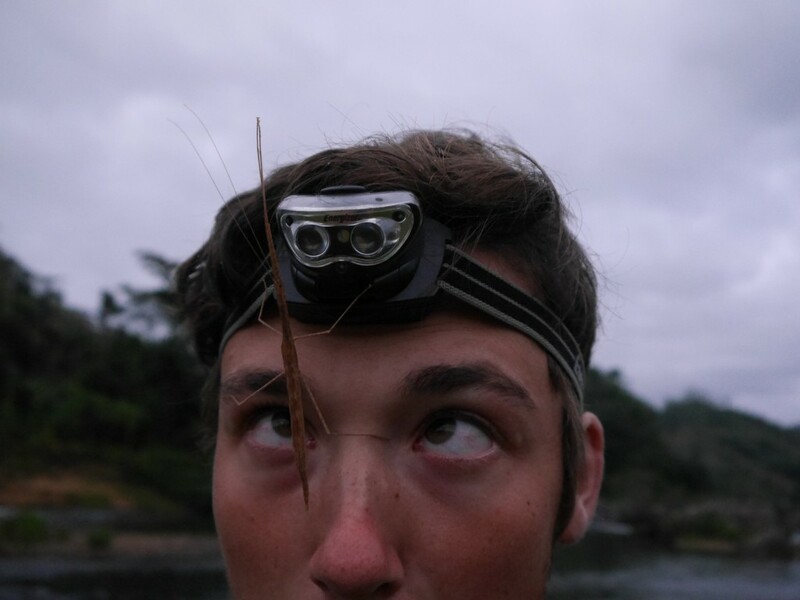 Campbell enjoying the company of Frank the stick-insect! It was a long day’s paddle! We were on the water for about 12 hours with only a few short breaks, for most of the day we took turns towing Josh to help reduce the strain on his shoulder. We got back to Nosy Varika at about 18:30 just after dark and were all knackered and staving! That night we stayed in Nosy Varika before starting the two day drive back towards Tana and the beginning of our big feed! 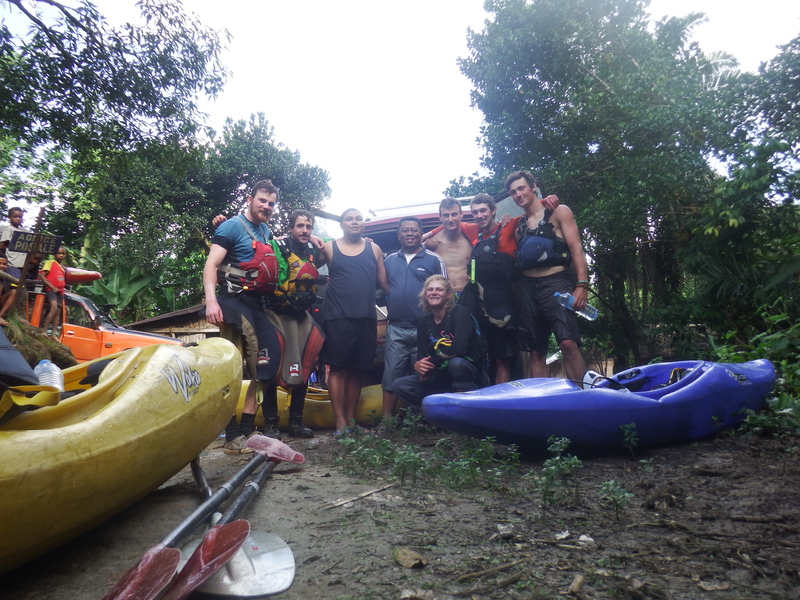 Although it was an unsuccessful mission it’s all part of expedition kayaking and was a good adventure! 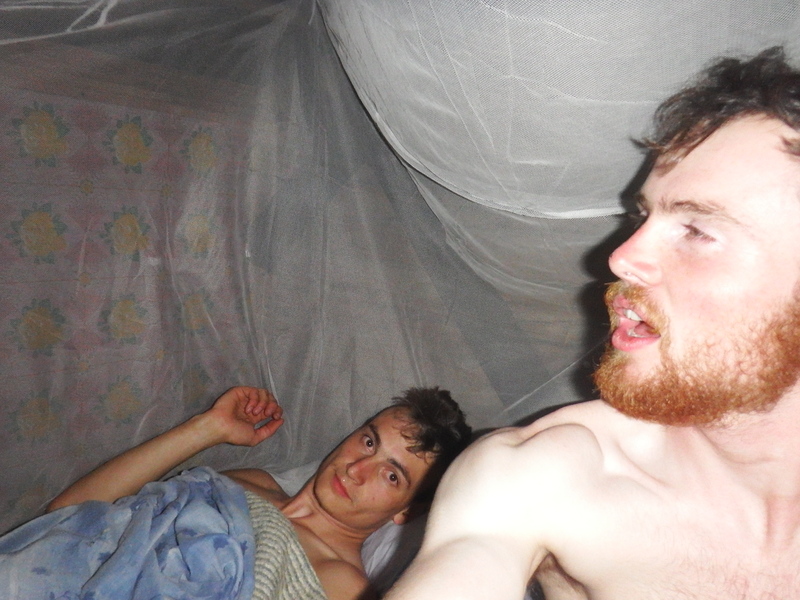 We are now resting in Tana for a day and hopefully Josh’s arm will recover! 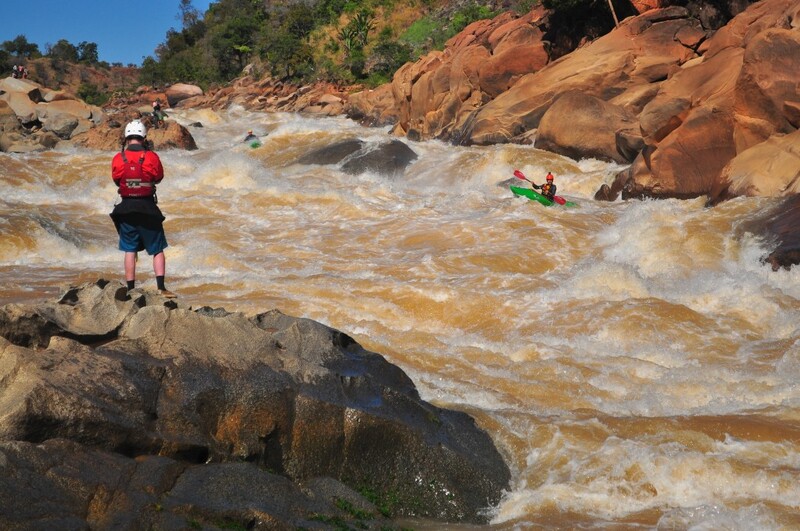 Next we are off to the Ikopa, a Madagascan classic and supposedly one of the best sections of river in the world! need to take we gotsleep ready for an early start and to head to the airport. We were at the airport in what we thought was plenty of time, loaded our gear on to trolleys and headed to the Qatar check-in desk. The people working at the desk were concerned that the boats wouldn’t fit on the plane despite th being told about them in advance. After many phone calls we started to check in before being told that we would be able to get on the plane because they wanted to do a random check to verify the payment card which we didn’t have. Finally after talking to someone higher up we were allowed to continue to check in and handed our boats and kit over. Soon we were on the plane towards Qatar with our boats eating very good airline food. Spent a night sleeping in Doha airport which is huge before getting our next flight to Johannesburg. It was reassuring to see our boats being loaded on to the plane. 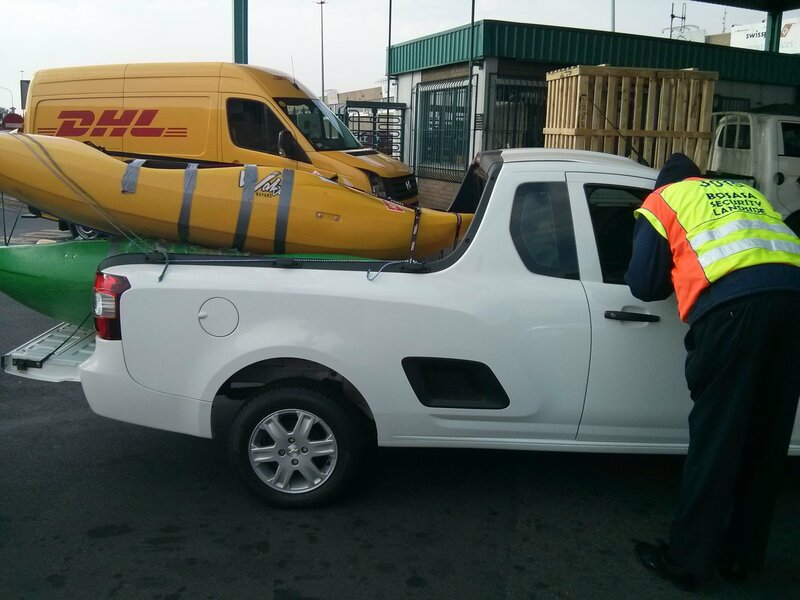 Arriving in Johannesburg we collected bags then headed over to oversize baggage to get the boats. Now we had to head to the cargo warehouse apparently 15 mins driving. As we were walking out of the terminal, we found many porters trying to help which made it difficult to keep our kit together as they grabbed hold of a boat wanting to take it to a taxi. This went on for a while, taxi drivers saying they couldn’t take them. We tried to see if we could hire a truck, but the hire place had none. Me and Calum decided we would see how far it is to walk so headed off without any kit to scout the route. 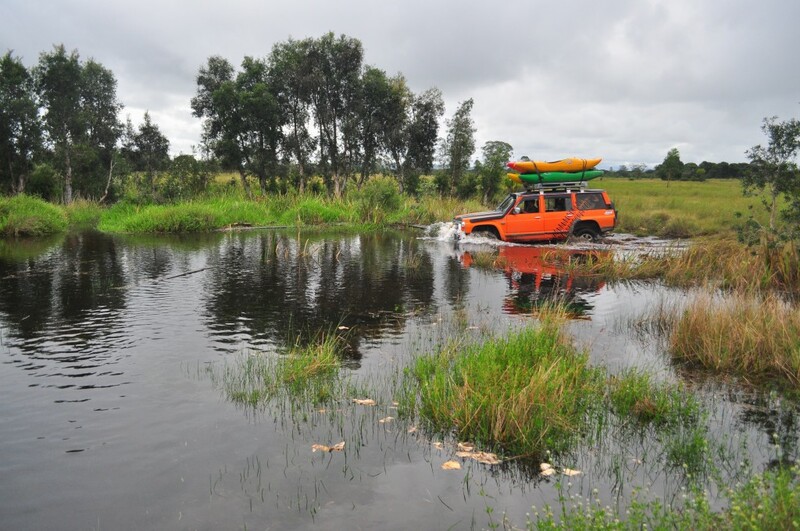 We found out later from multiple people that this was a bad idea and not particularly safe… As we arrived at the cargo offices, Matt turned up in a pickup truck with a load of boats, they had sorted it. After going through the security we found many people desperate for our business, telling us that they can do it cheaper with Emirates etc, despite the fact they don’t even fly to Mada! After explaining we had already booked cargo we were left alone. A few hours later and another trip to pick up more boats the Cargo was sorted. And the owner of the cargo business offered a place to stay for the group that were due to stay in Mada for a couple of days to sort boat cargo. So Matt, Josh and Campbell headed off to Kerbus’s house after we were dropped off at the airport for our flight to Mada via Kenya with very little luggage. After about 48hrs of traveling the advanced group arrived in Mada. Flying in we were excited to see white water. After getting through immigration and buying 60 day visas we met our driver Andry who drove us to our hotel in Mada. Excited and exhausted we headed across the road for some very good value food and grande orange Fanta’s. The next morning we had an amazing breakfast banana fritters, biscuits and coffee. We then headed out shopping for food, Machetes, SIM cards and the few extra items we couldn’t fit in our luggage such as pots for cooking as well as a hat for Campbell! 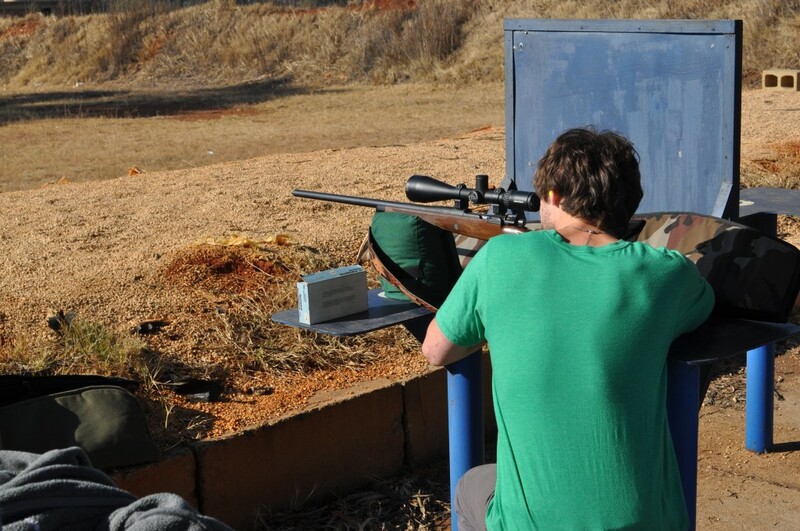 Meanwhile the other group were still in Johannesburg with Kurbus being fed large amounts of barbecued meat and going shooting. The next day, Sunday, the group in Tana spent the morning doing touristy things before heading to pick the group arriving from Johannesburg up from the airport. 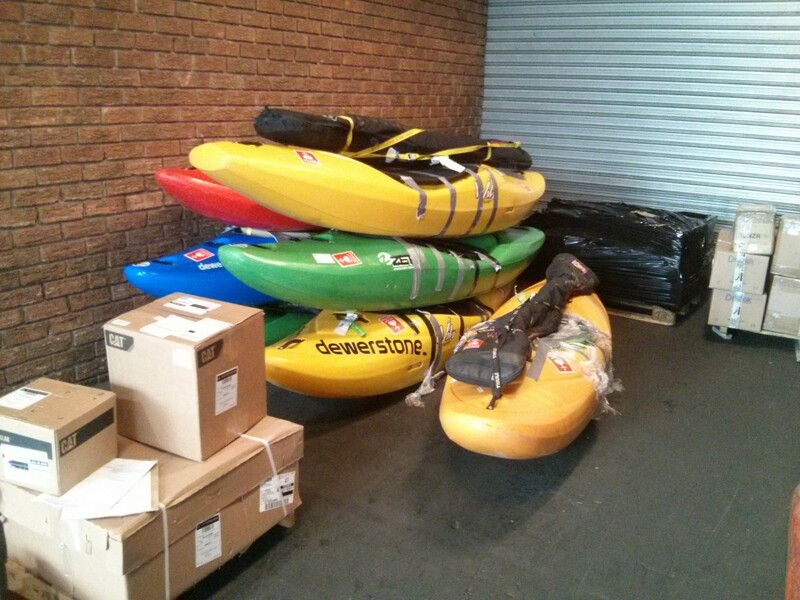 Apparently our boats had also arrived, but the cargo office was closed. We headed back to the hotel before heading in to town to meet Dylan who has been paddling in Mada for the last couple of months and was back in Tana to fly the next day. Dylan had a load of beta and advice a well as photos and videos that got us super stoked!